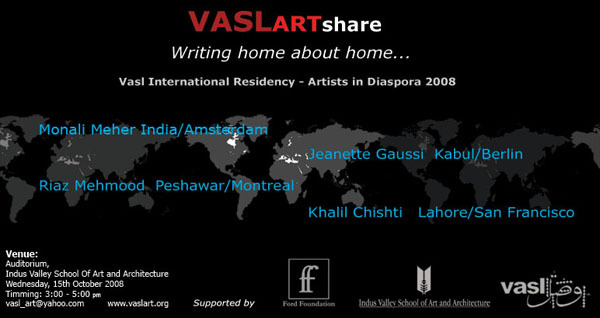 Vasl Art Shares introduce local and international visiting artists to different art institutions across the country. 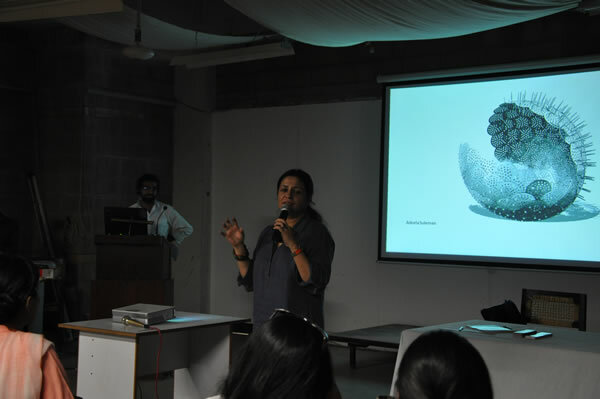 Artists present their work and the wider scope of their practice to students, art practitioners and general public, often engaging dialogues and discussions. 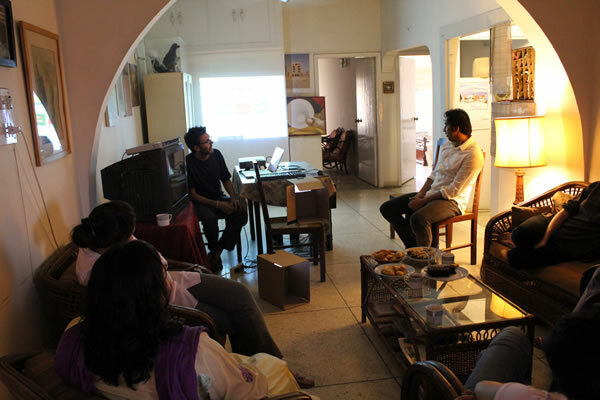 Suleman shared images through a multimedia presentation, and talked about his work process from his early life and art experiences in Lahore and Quetta, and how they have been a huge inspiration to his style of working. 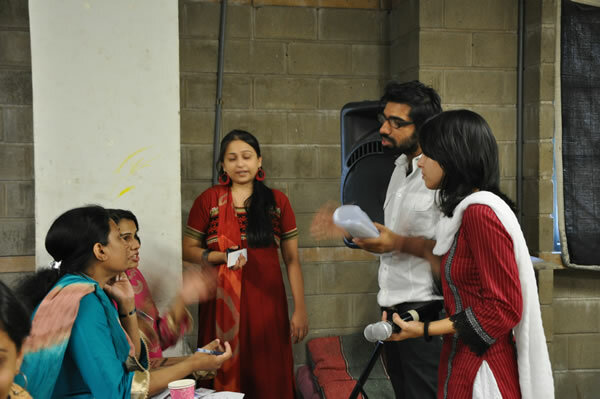 This was a great platform for a student and artist exchange because the outcome in the drawing workshop highlighted a real growth and an urgency to break through the norm of what a drawing can be. 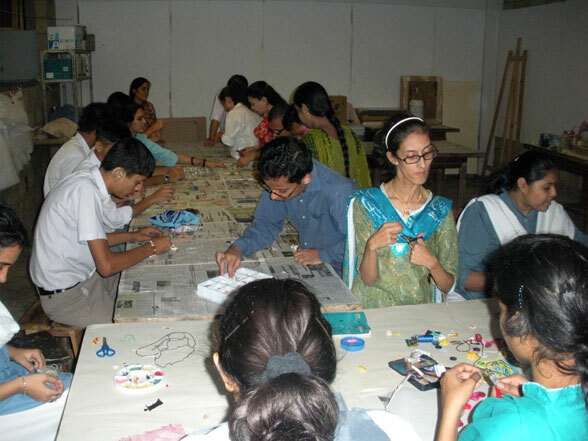 What is a Creative Education and why is it important? 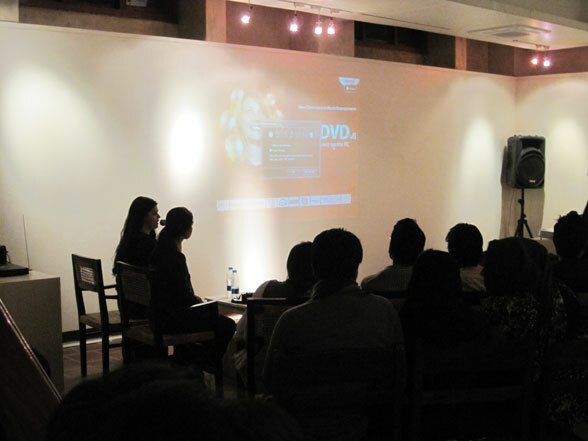 If our economy is to grow sustainability, we need to develop innovation and a creative workforce. 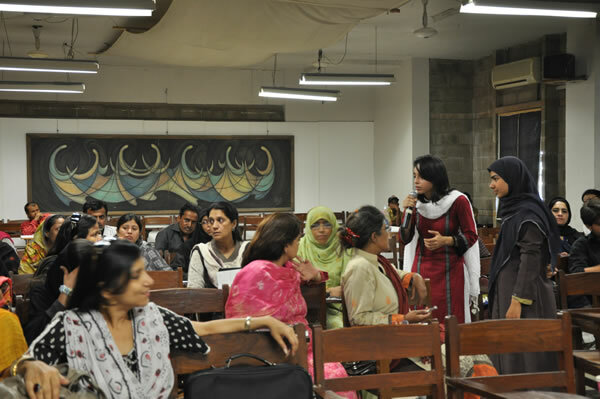 So what will this mean for our education systems? 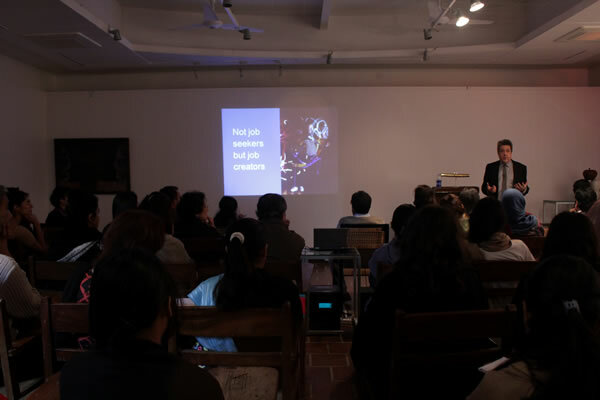 What does this mean for artists, designers and creatives? 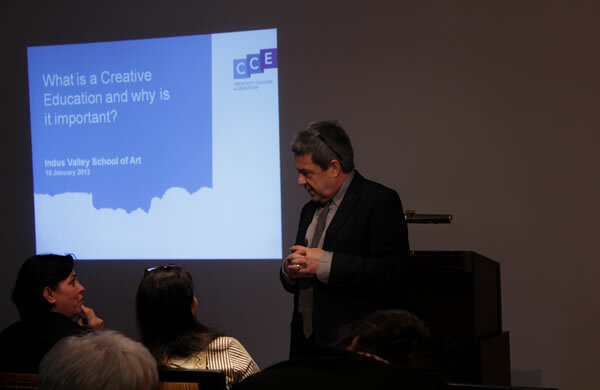 Paul’s lecture will draw on his experience of observing, designing and delivering programs in creative education, not only in England but elsewhere in Europe and the Asia Pacific region. 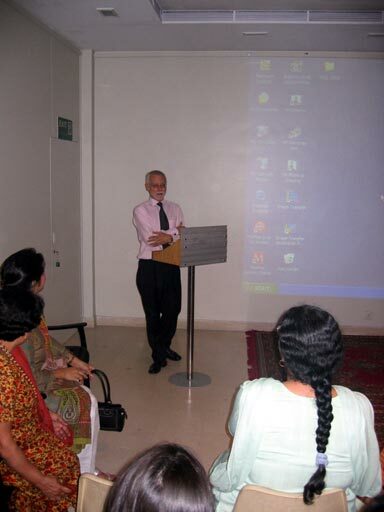 He will draw on the extensive research commissioned by CCE which has measured the impact of such approaches on attainment, motivation, behavior and parental engagement. 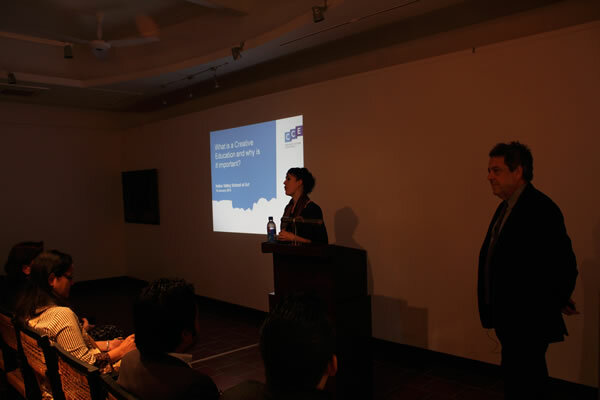 The presentation will be extensively illustrated with examples of projects delivered by CCE in different countries, that are designed to help delegates develop their own practice with children, young people and students. 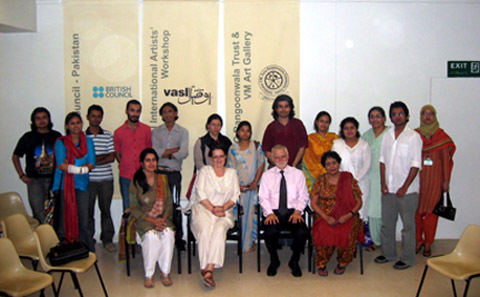 Paul is visiting Karachi to help establish an arts education program that will take place across 2013 in schools in Karachi, in collaboration with Vasl Artists’ Collective and the British Council. 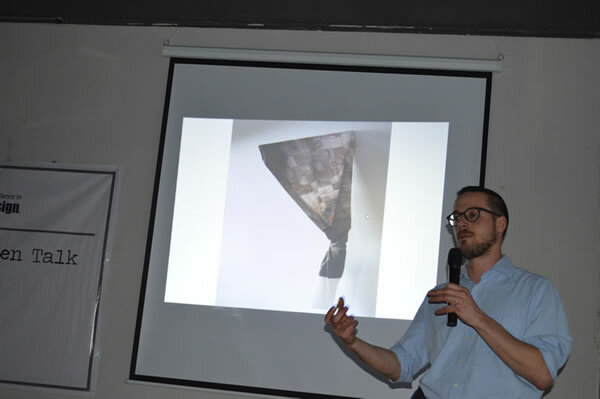 His presentation will be of particular interest to artists, educationalists, teachers and headteachers in secondary and higher education, along with those interested in development and economy. 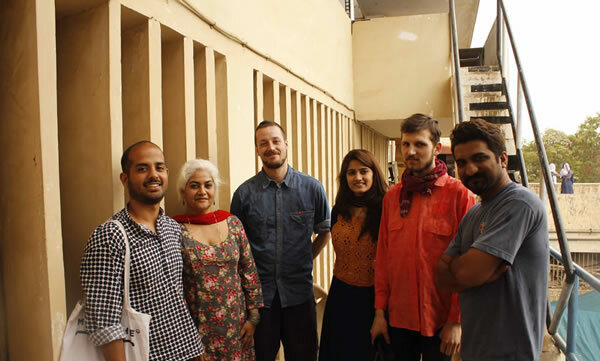 Australian artist Mick Douglas returned to Karachi in March to undertake a participatory work in collaboration with faculty and students from Karachi University. 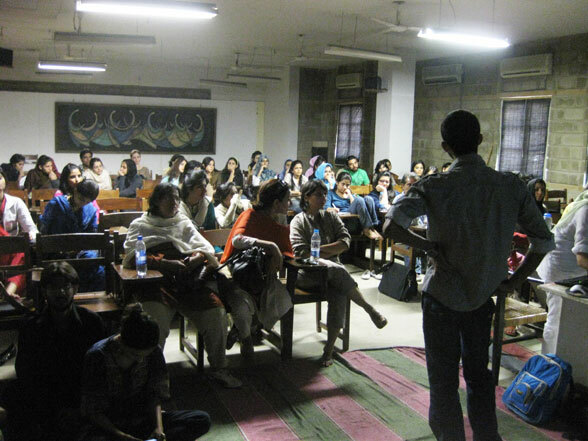 Piyar Zingagi Hai was a one-off performance that took place on the 3rd of April, involving a bus journey around Karachi. 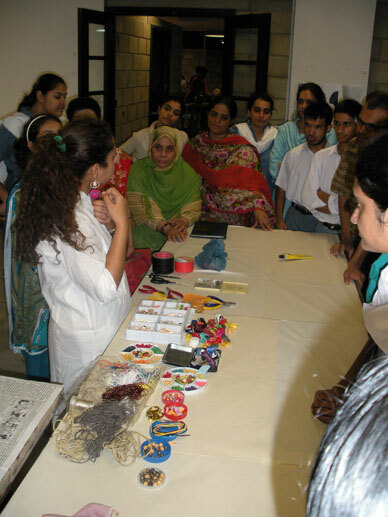 Karachi citizens were also invited to locate a “chamak patti” sticker in their city, featuring the popularised expression “piyar zindagi hai / love is life”. 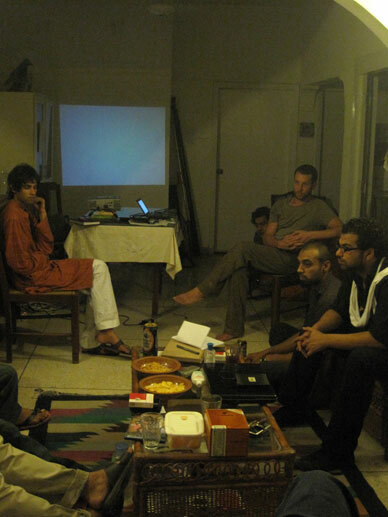 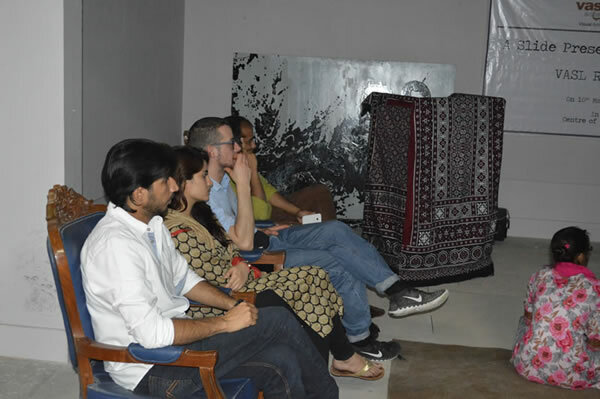 Following the event, Mick gave an ARTshare at Vasl, in which his practice spanning participatory works and installations was foregrounded, and a discussion of his work in Karachi ensued. 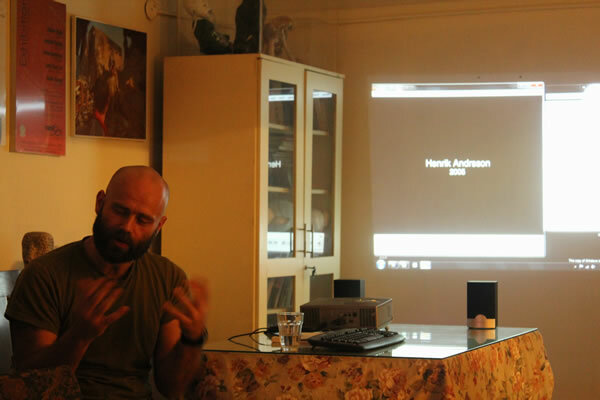 Visiting from Stockholm, Sweden, artist Henrik Andersson presented his work for discussion at Vasl. 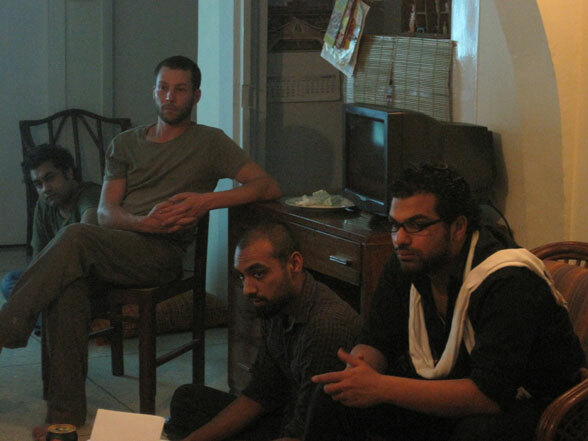 Henrik has been in Pakistan preparing a new work commissioned as part of a curatorial project by Waheeda Baloch named, ‘Items of Dual Use’. 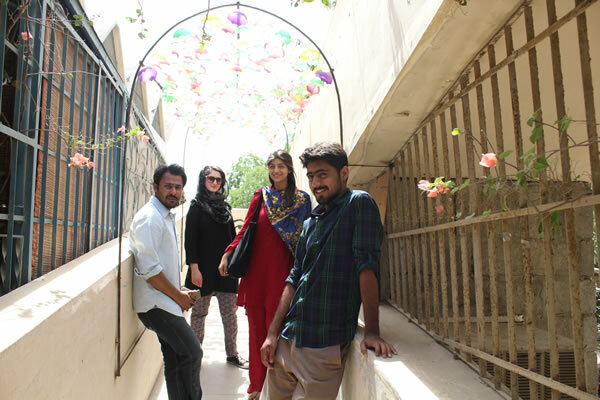 The project includes an exhibition at Karachi’s VM Gallery, and a series of collaborative projects between Pakistan and Sweden, where Waheeda is studying a programme in curating. 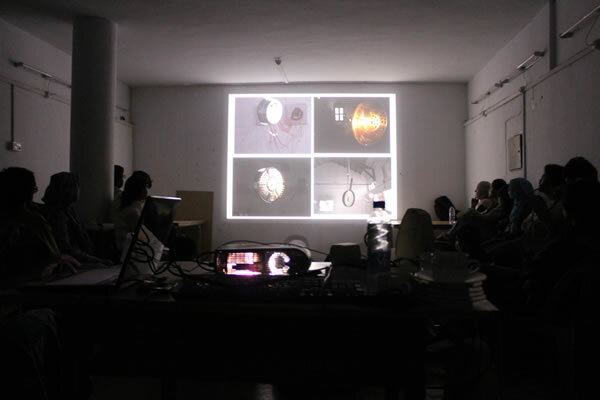 His residency is sponsored by IASPIS in Stockholm, and while living at Vasl, Henrik showed his work to artists, curators and writers from the city, who discussed his ideas for a new film, and his earlier works that include public projects, and experiments in sound art and video. 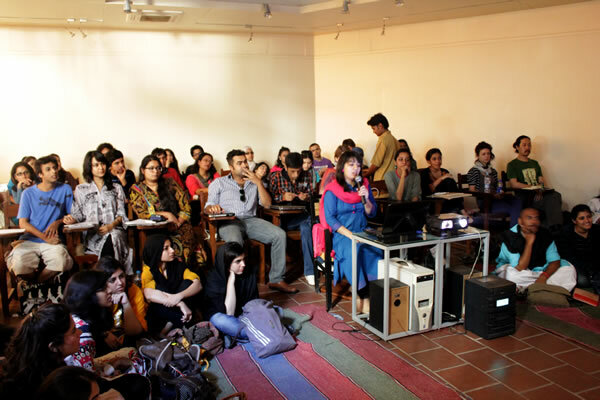 At Karachi School of Art Tooraj Khamenehzadeh from Iran and Gemma Sharpe from Britain, shared their work with students and visitors. 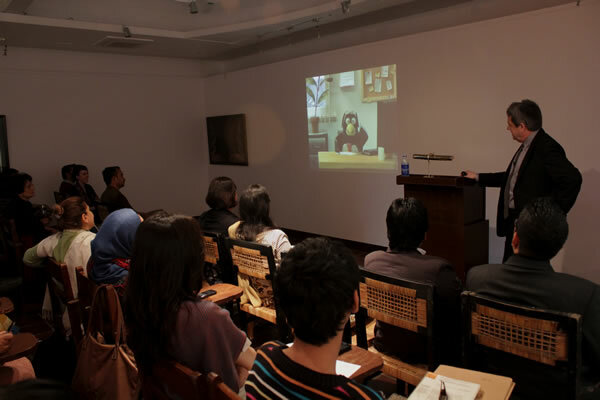 Tooraj presented a slideshow that demonstrated the Rybon Art Centre that he co-runs with other artists and practitioners in Tehran, before showing his work in photography and video, (accompanied by written pieces by the artist). 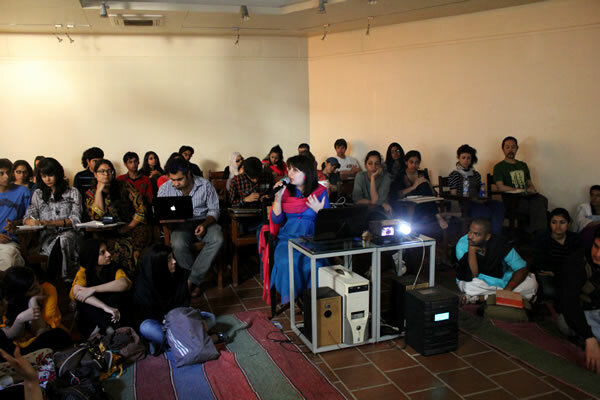 Gemma, living in Karachi and working for a short time, showed a series of slides that described her writing practice. 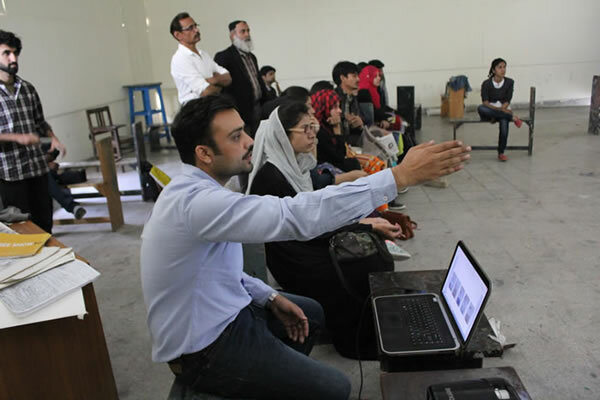 The discussion was opened up to the students, who asked lively questions and who listened to Tooraj recite some poetry in Persian. 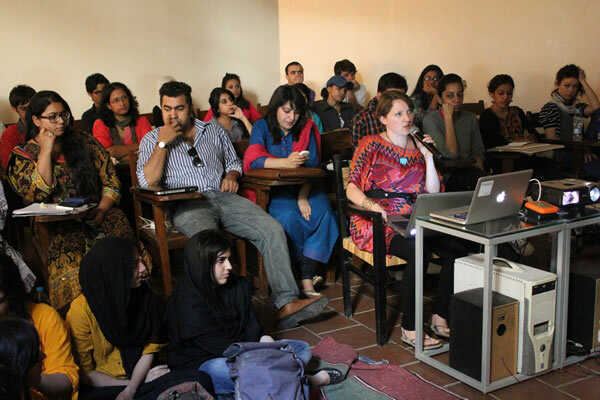 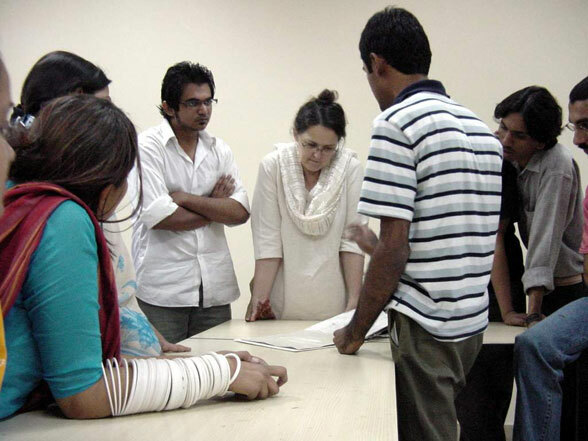 At the Visual Studies department at Karachi University of Art Tooraj Khamenehzadeh from Iran and Gemma Sharpe from Britain, shared their work with students and visitors. 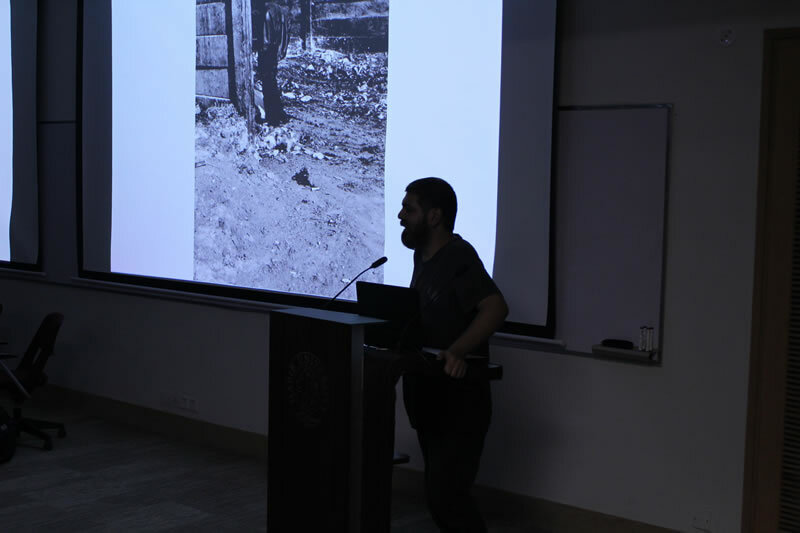 Tooraj presented a slideshow that demonstrated the Rybon Art Centre that he co-runs with other artists and practitioners in Tehran, before showing his work in photography and video, (accompanied by written pieces by the artist). 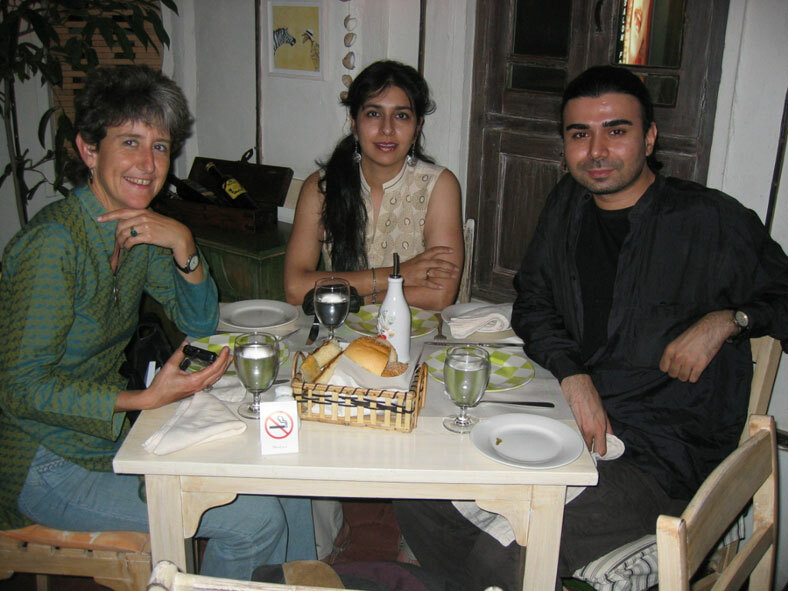 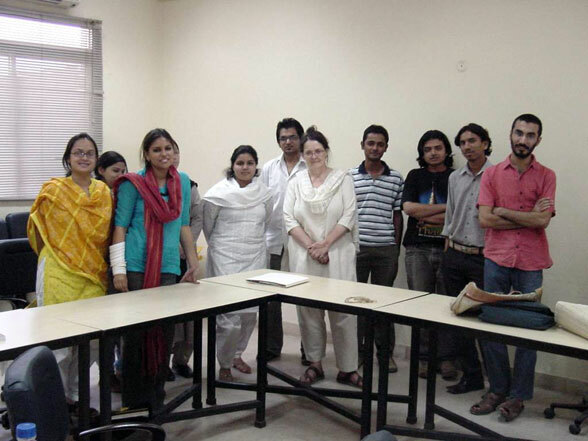 Gemma, living in Karachi and working for a short time, described her practice as a writer. 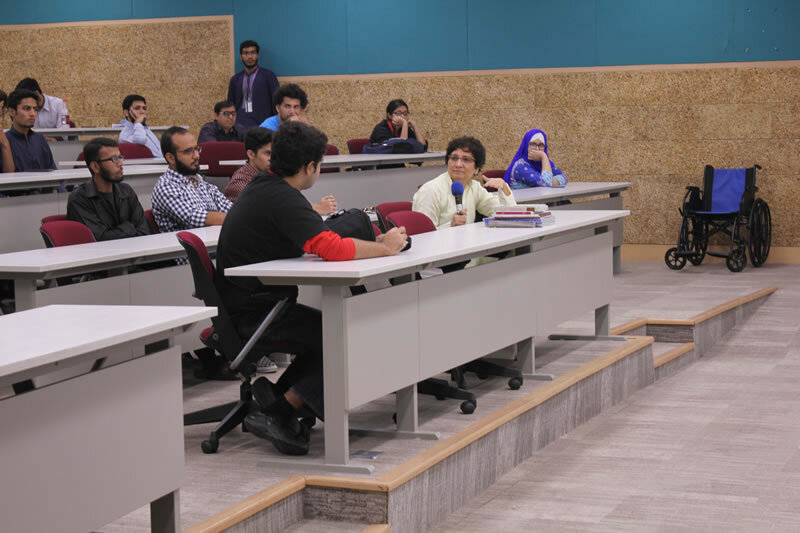 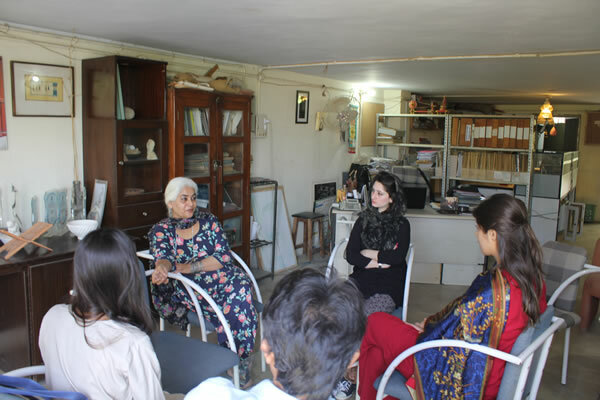 The discussion was opened up to the students, who, along with the head of department, Durriya Kazi, questioned the visitors on art and culture in Pakistan and Iran. 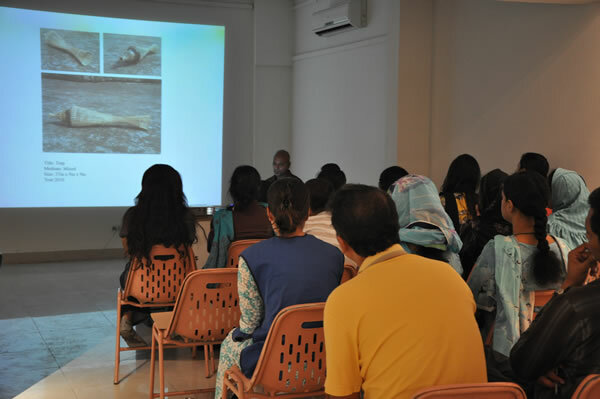 Tooraj Khamenehzadeh presented his photographs and video works to students and visitors at the gallery at Indus Valley School of Art and Architecture. 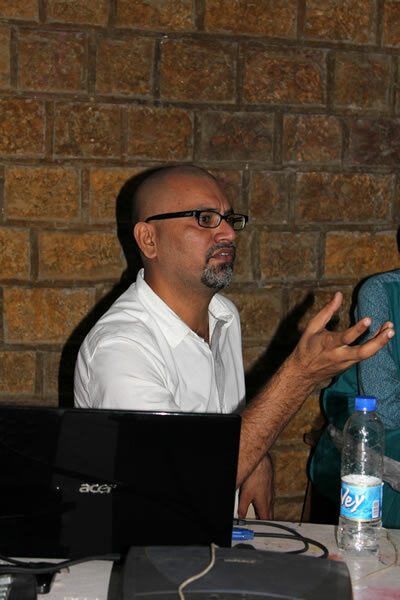 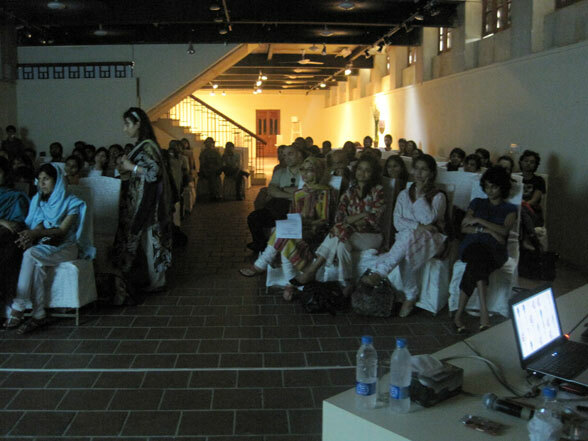 Tooraj was visiting Karachi on a ‘Knowledge and Skills Sharing Programme’ organized by the Triangle Network. 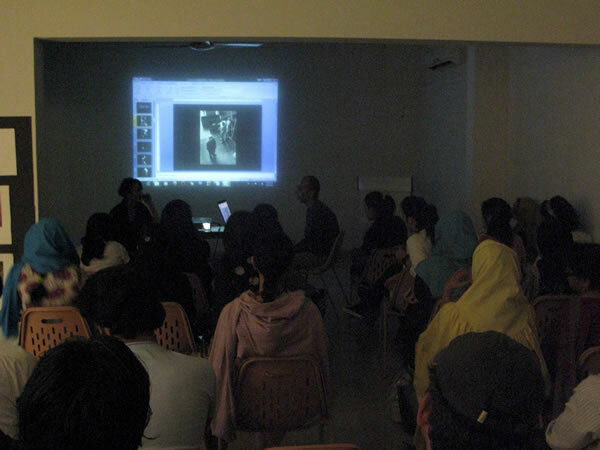 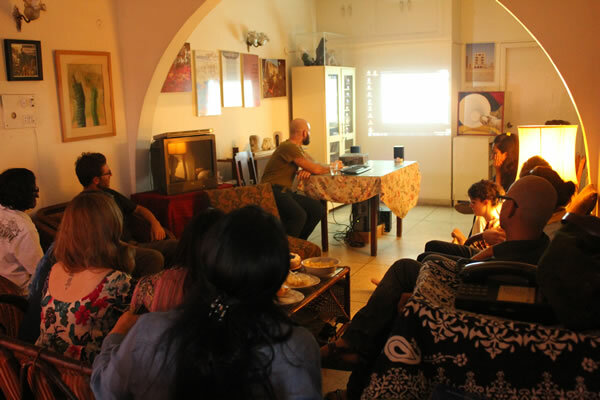 This programme was introduced at the beginning of his talk, which included a presentation on the organization that he co-runs with other artists in Tehran, the Rybon Art Centre. 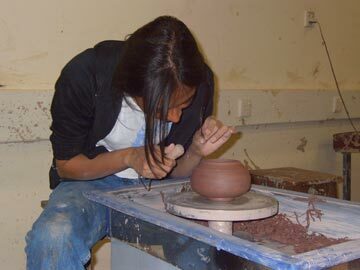 The artist here explores uncharted territories with immaculate skill and precision. 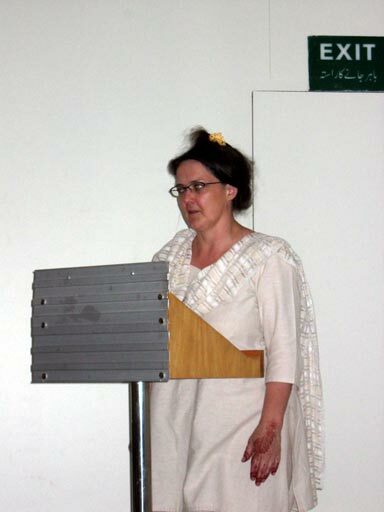 She was born in Lahore and now lives and works in Dubai. 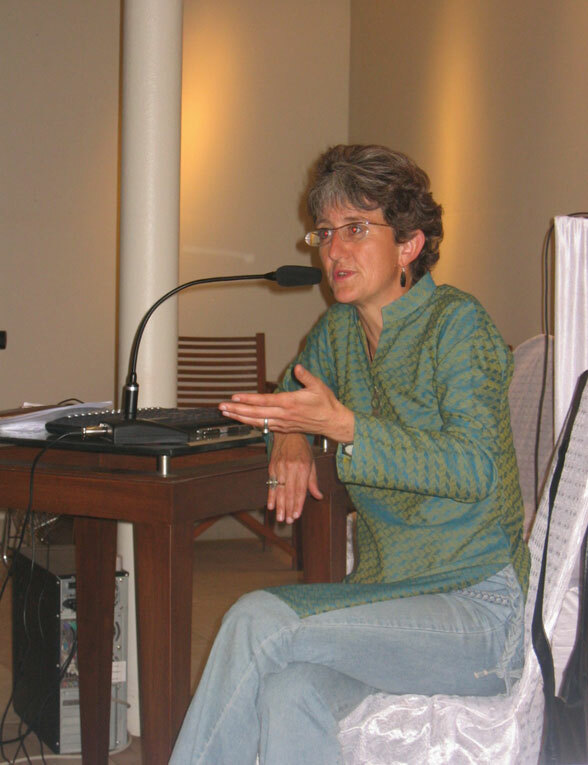 Her work is of great importance at this point in time as it navigates the obscure and erratic moments in history in which small events become politicised. 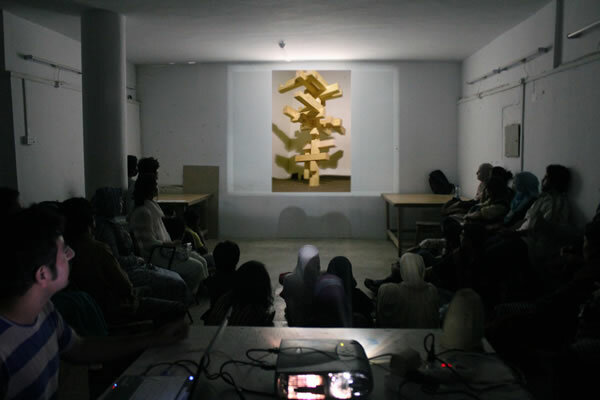 However, nothing is directly imposed upon the viewer, as everything is said using the kind of metaphors and symbols that the artist alone knows the meaning of. 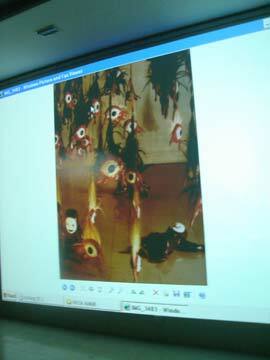 The image of the child recurrs throughout this body of work. 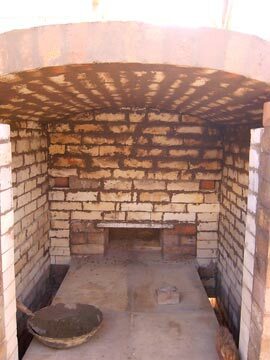 We live and breathe the same air as everyone else. 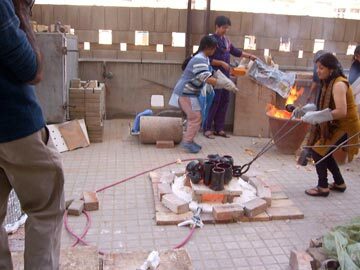 The child is unaware of the differences marked by barricades and barbed wires. 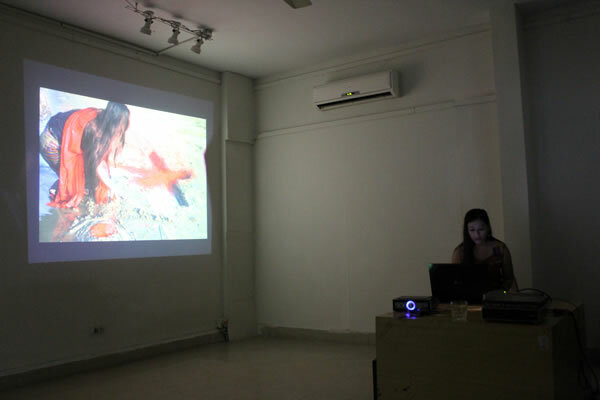 The child ventures into spaces as its natural sense of curiosity permits it to do so, eventually, the work implies, to be barred by the political lines of control. 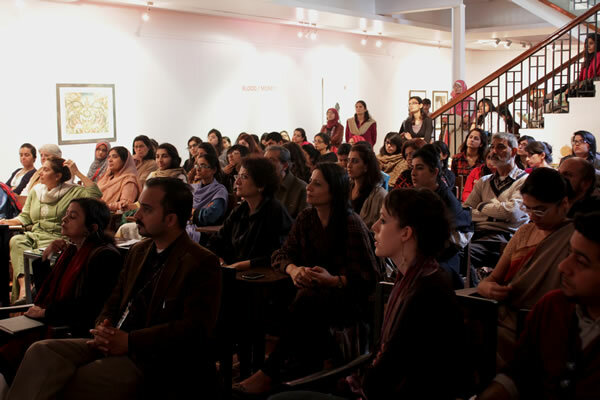 Qizilbash’s work represents such concerns as these with great conviction and ardour. 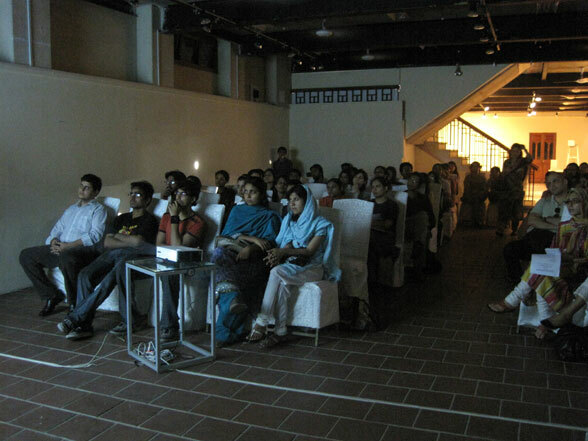 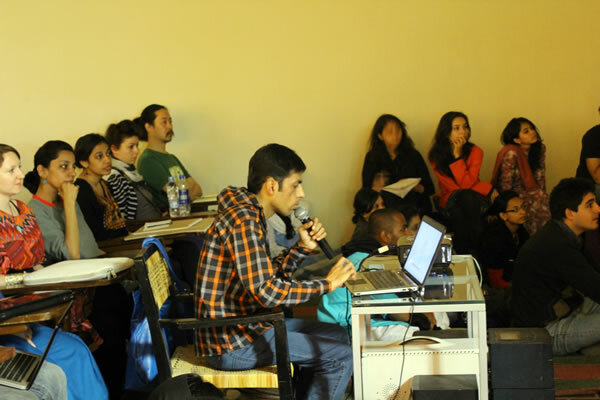 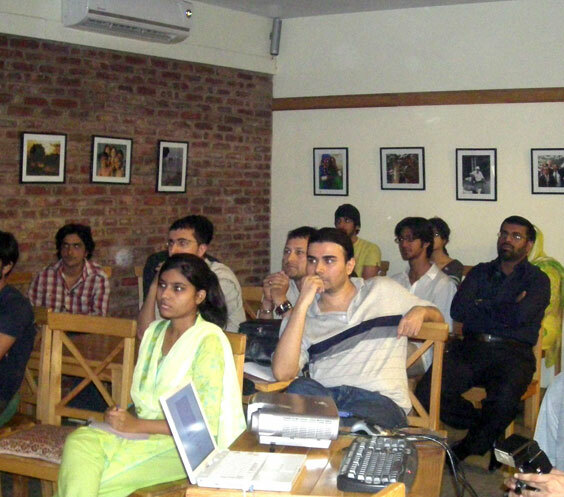 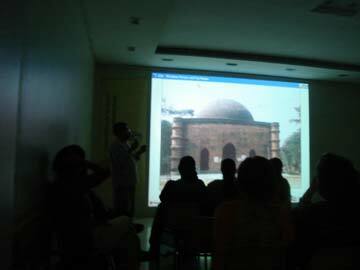 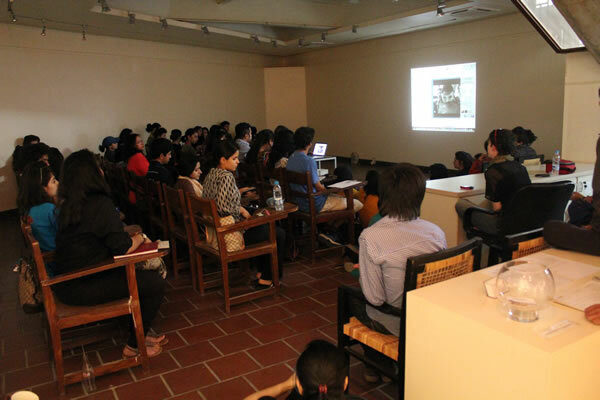 Taaza Tareen VI Art Share, was hosted by Indus Valley School of Art and Architecture. 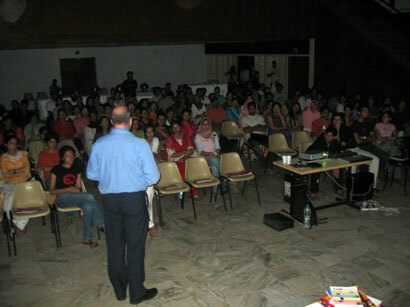 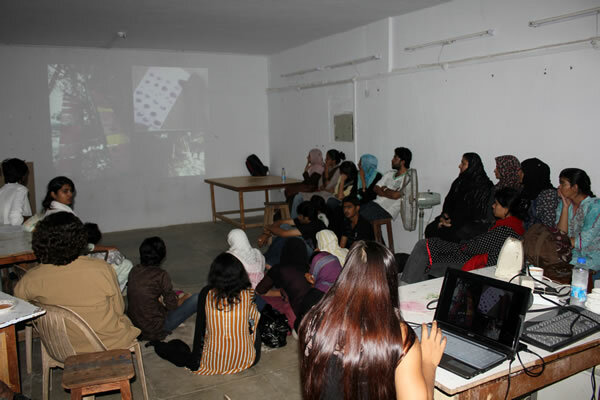 The artists’ gave a presentation of their art practice to the students, which later followed a question/answer session. 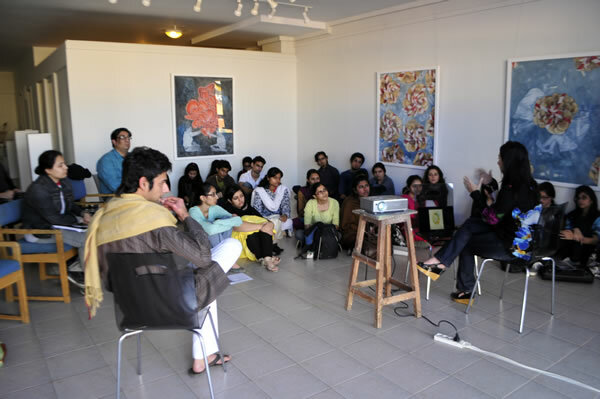 It was a chance for the young artists’ and the student to exchange ideas and share experiences. 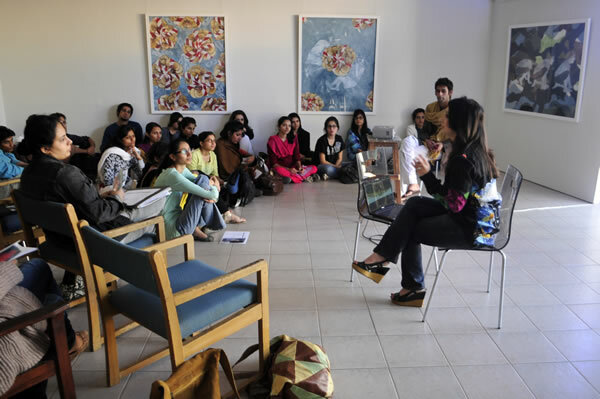 It was an essential interactive activity for the students and the young artists as they could relate to each other being recent graduates. 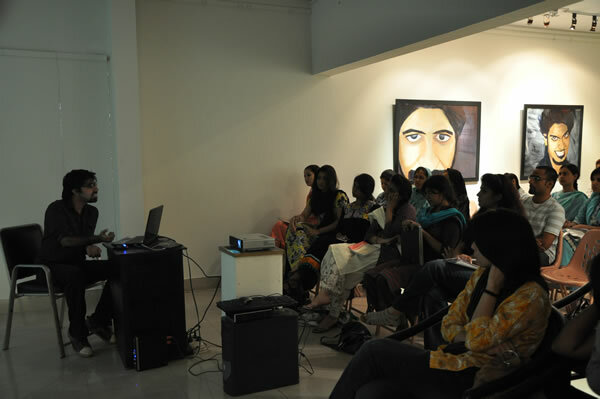 As well as an insight for the students, who will soon be paving their way into the art world and pursuing their careers as artists. 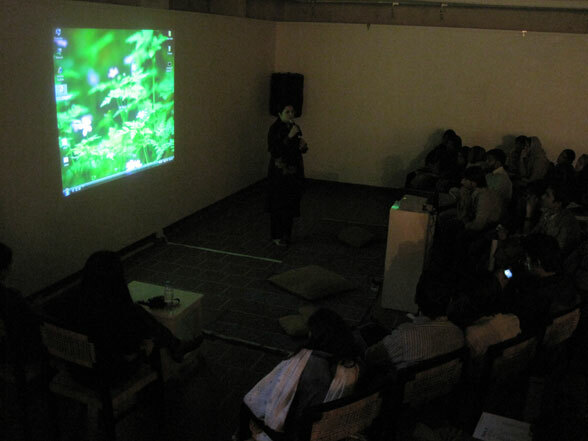 Taaza Tareen VI Art Share, was hosted by Karachi School of Art. 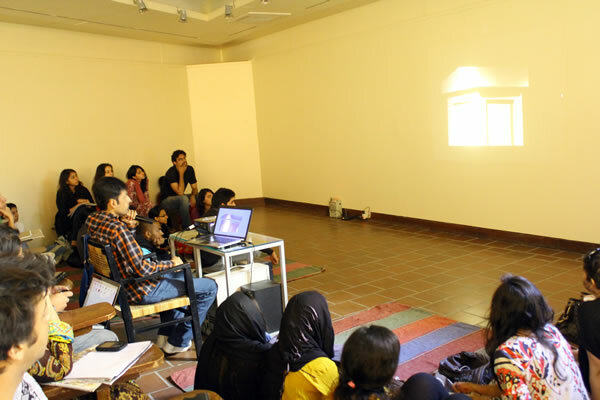 The artists’ gave a presentation of their art practice to the students, which later followed a question/answer session. 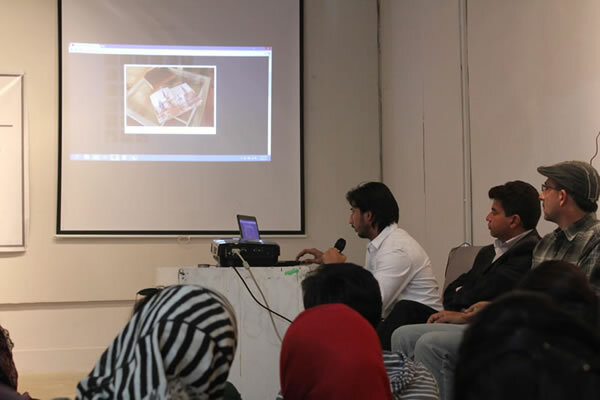 It was a chance for the young artists’ and the student to exchange ideas and share experiences. 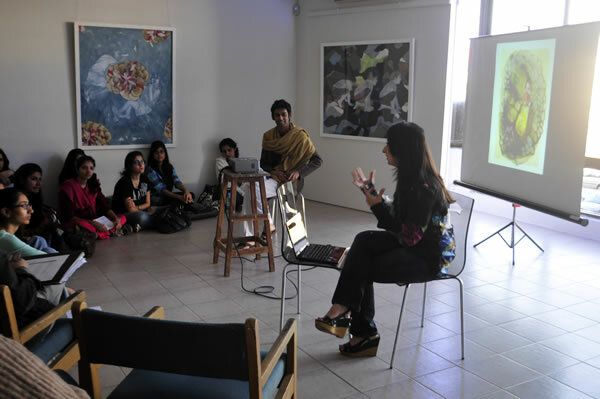 It was an essential interactive activity for the students and the young artists as they could relate to each other being recent graduates. 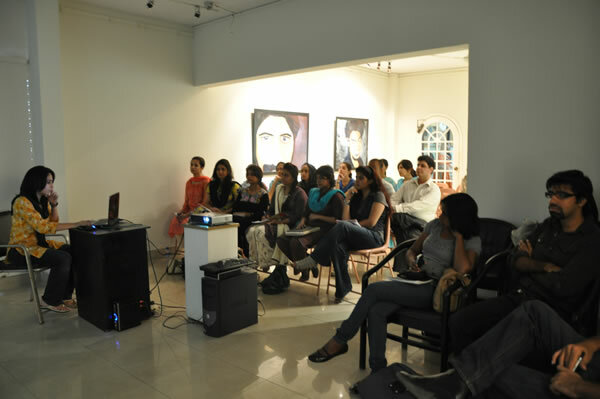 As well as an insight for the students, who will soon be paving their way into the art world and pursuing their careers as artists. 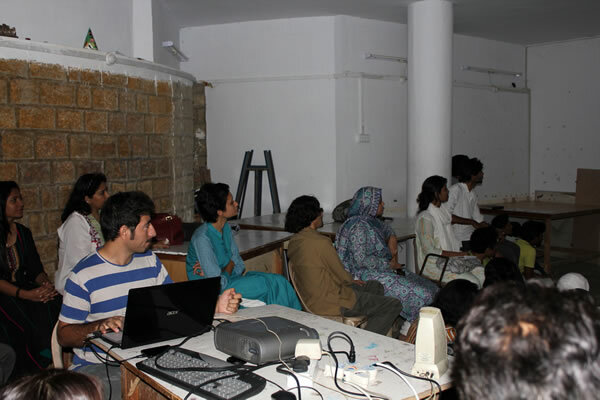 Taaza Tareen VI Art Share, was hosted by Department of Visual Studies at Karachi University. 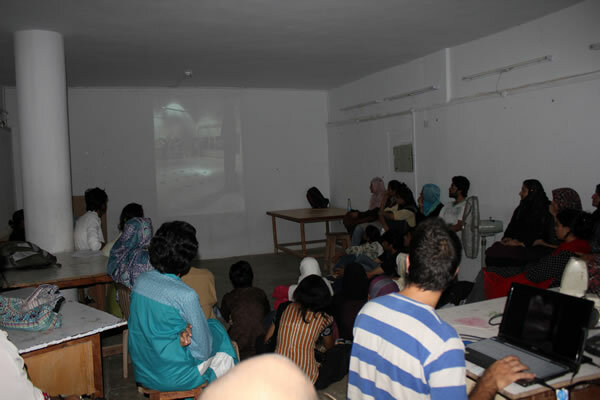 The artists’ gave a presentation of their art practice to the students, which later followed a question/answer session. 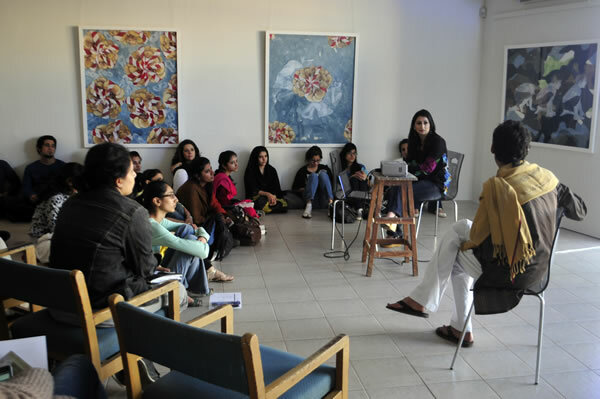 It was a chance for the young artists’ and the student to exchange ideas and share experiences.It was an essential interactive activity for the students and the young artists as they could relate to each other being recent graduates. 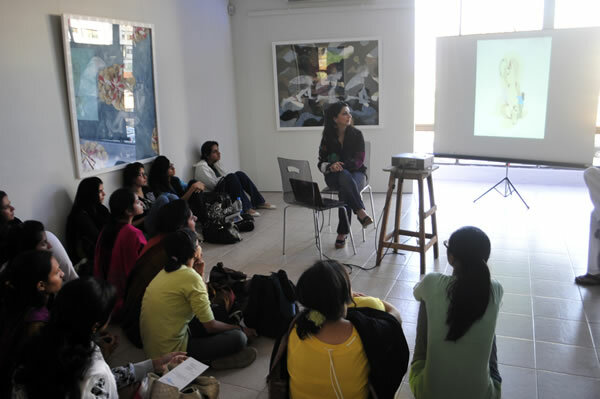 As well as an insight for the students, who will soon be paving their way into the art world and pursuing their careers as artists. 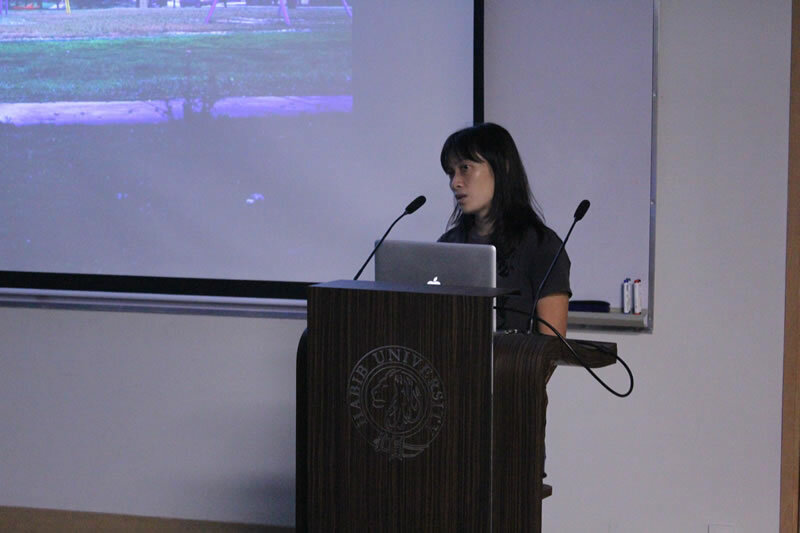 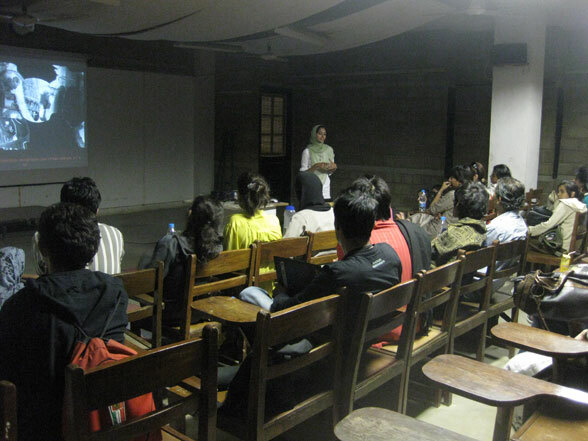 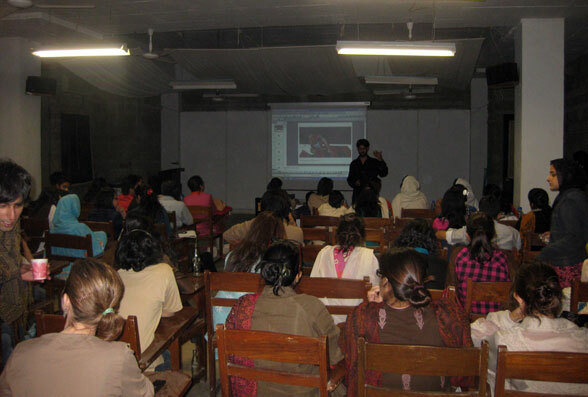 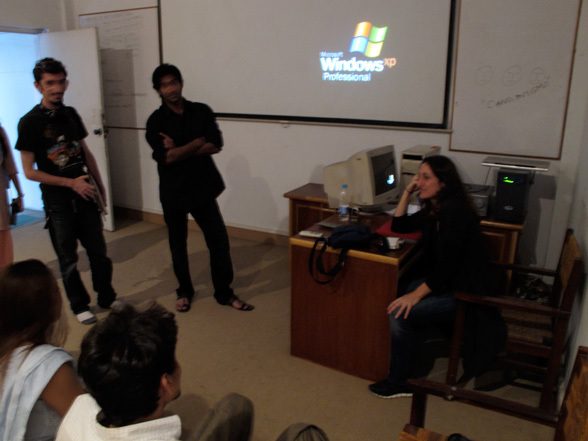 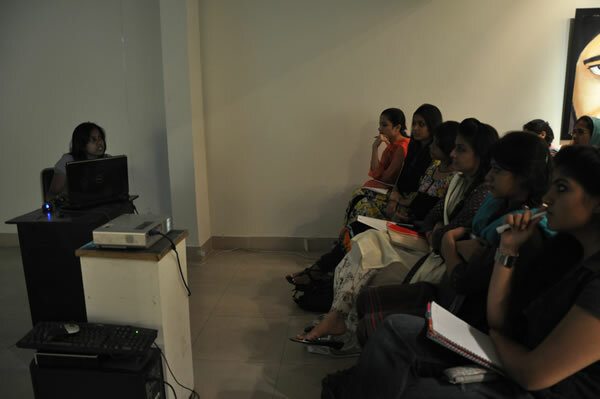 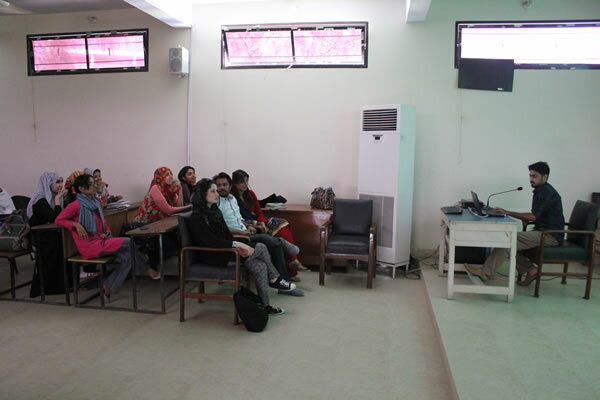 Lara Baladi shared her work’s presentation with the students of NCA and BNU at their respective universities in Lahore. 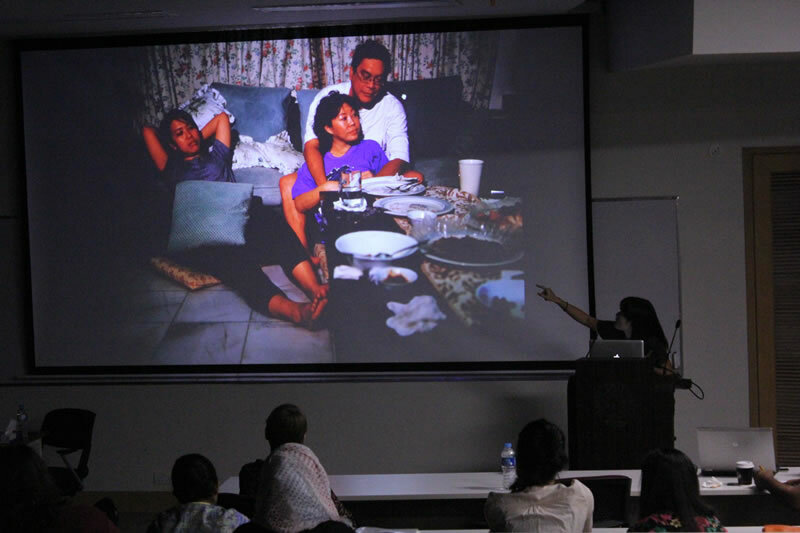 The talk was largely interactive as Lara herself not only enjoys the process of interaction but her work largely revolves around her interaction and interpretation of her chosen environments. 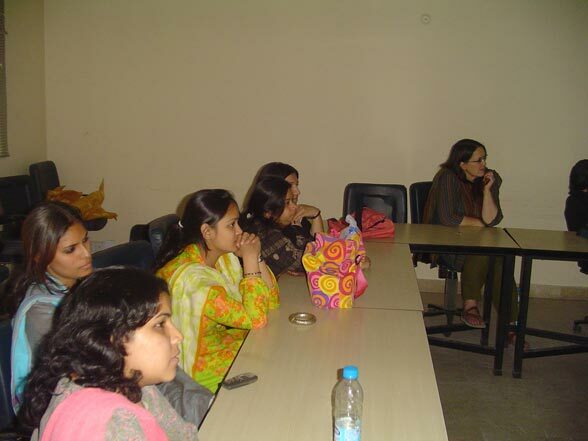 The student’s seemed to enjoy her process and seemed to be absorbing it. 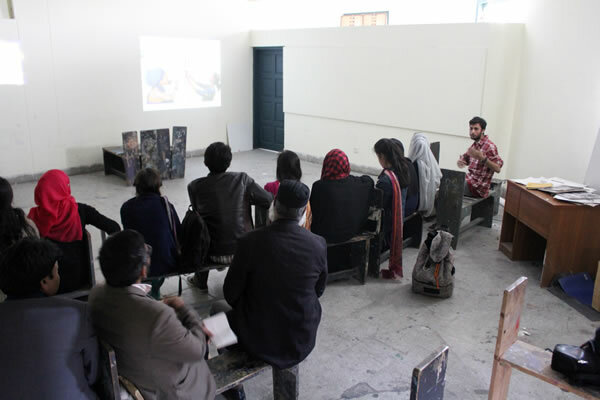 There was a great exchange of questions along with discussions of ideas and possibilities regarding student’s works. 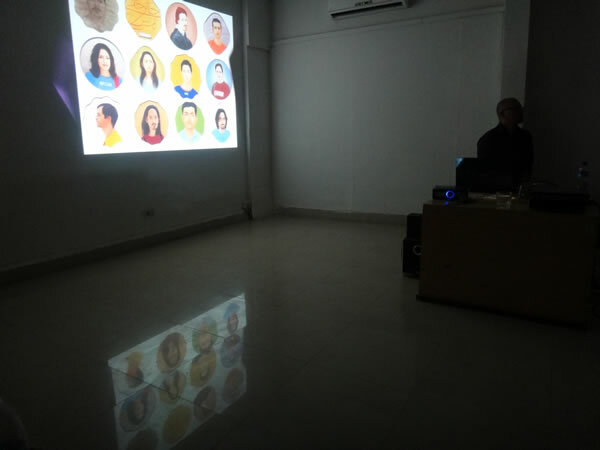 This talk not helped the students a lot, not only by giving them a fresher aspect for viewing things but also encouraged them to indulge in new ways of executing their ideas. 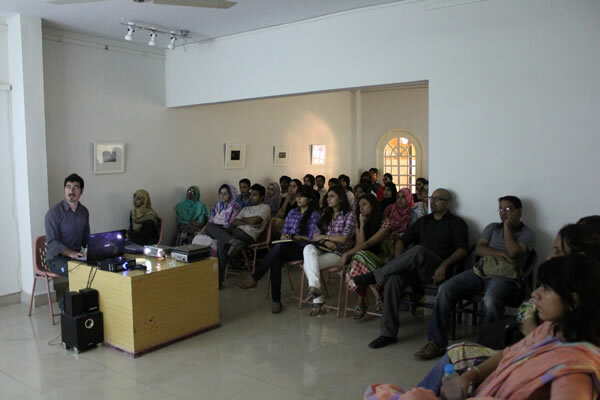 Indus Valley School of Art and Architecture, with the support of the IVS Gallery and their Fine Art department hosted the artist talk which was a combination of presentation showcasing the artists’ previous work along with sharing the process or the work that they were a part of while they were a part of the residency. 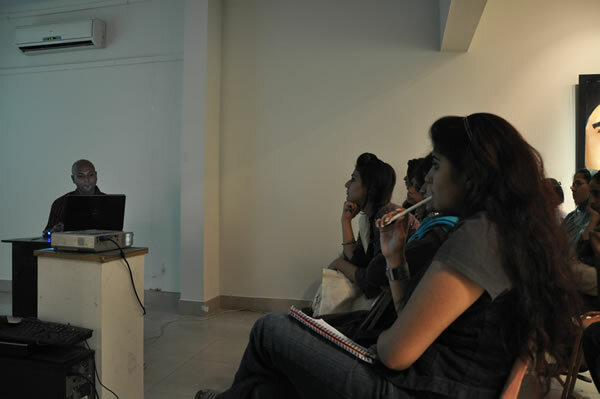 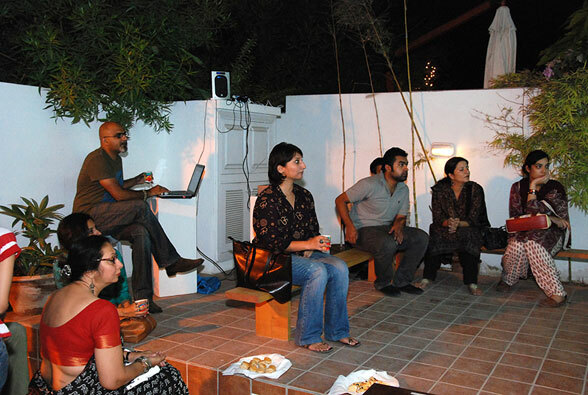 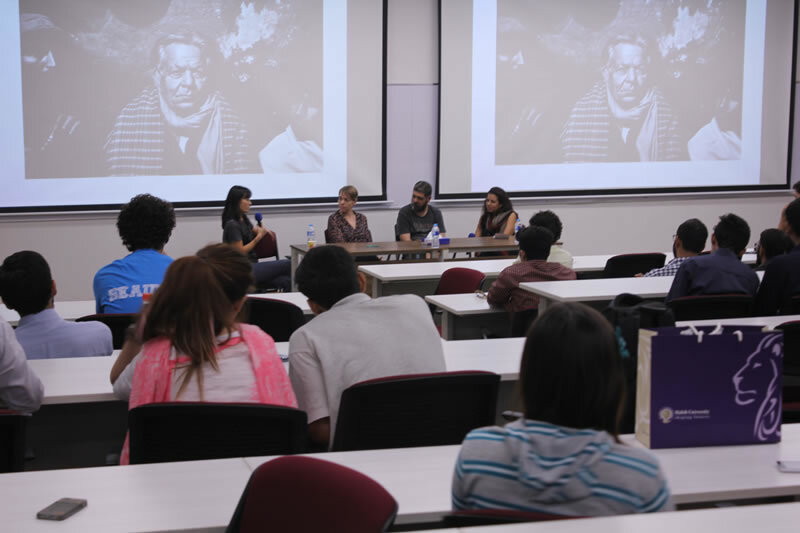 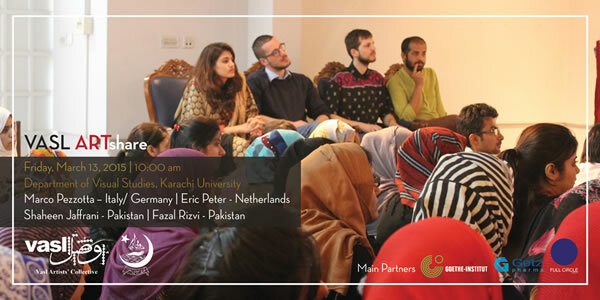 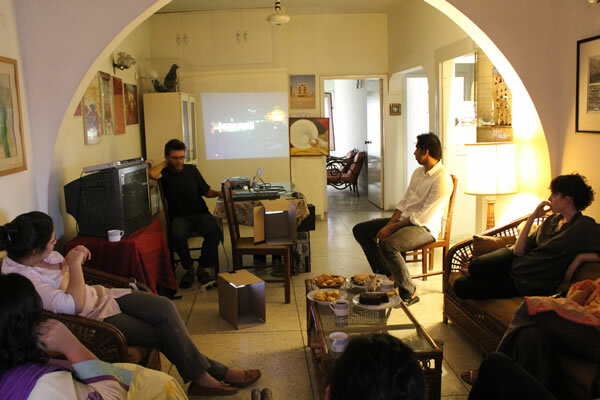 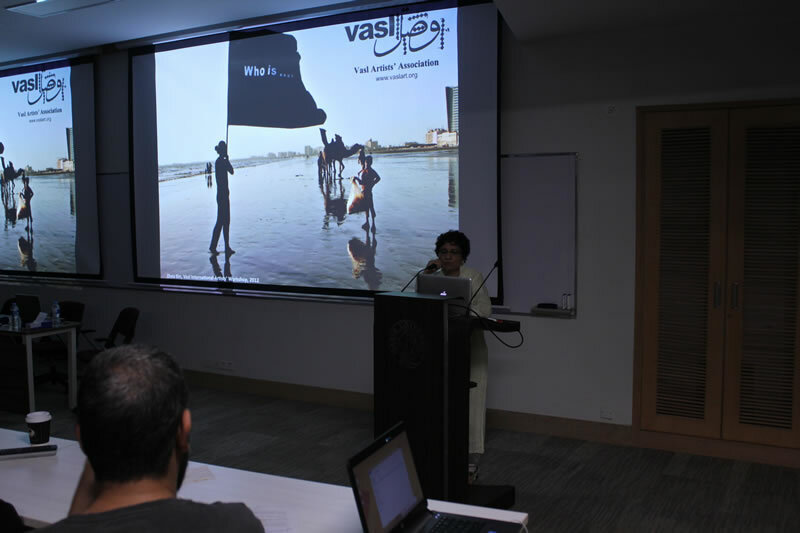 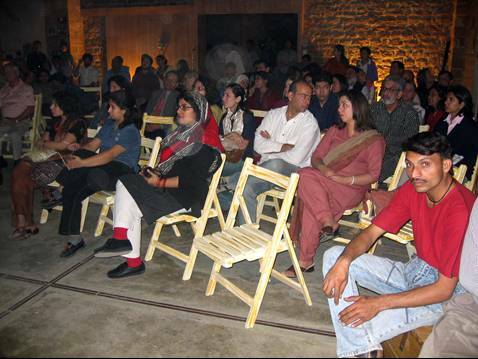 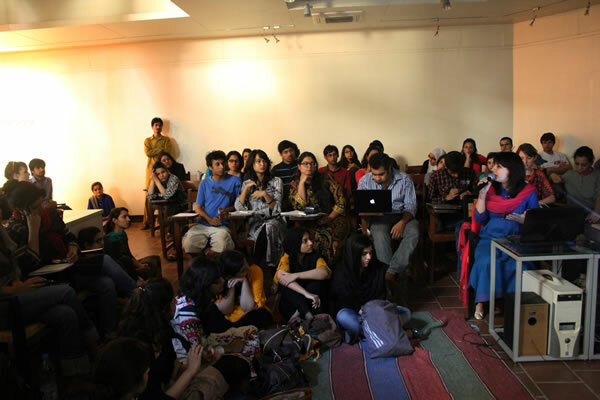 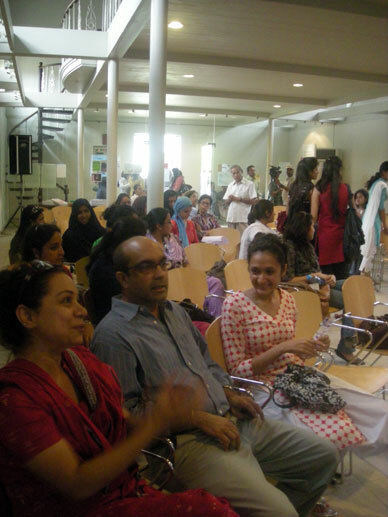 The talk was moderated by Asma Mundrawala, a Karachi based artist who is currently part of the IVSAA Fine Art faculty. 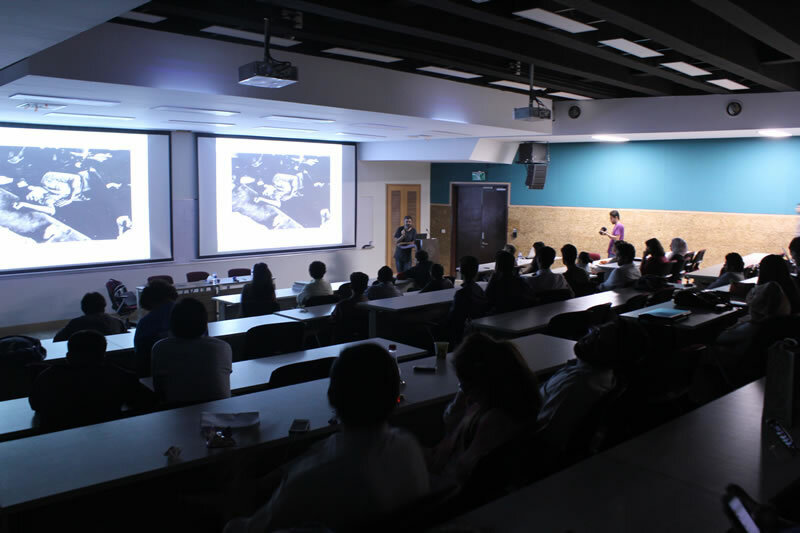 The talk was then preceded by Gemma Sharpe’s reading which she had especially prepared during her stay at the residency, followed by presentations from Gemma Sharpe, Ehsan-ul-Haq, Mohammad Abdulkarim and Lara Baladi. 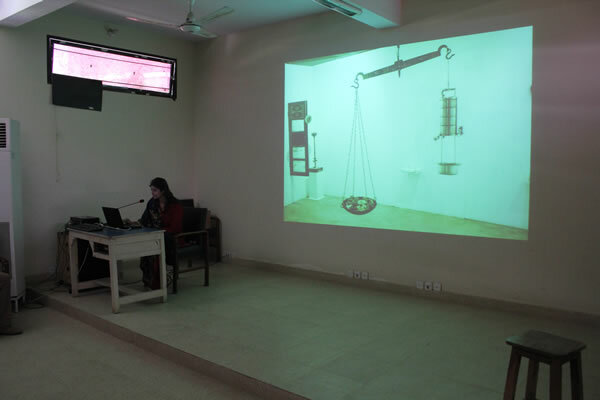 While Ehsan-ul-Haq’s installation for the residency could be viewed within the IVS premises, the audience collected in the school’s courtyard to view the live performance by Mohammad Abdulkarim and to listen to a sound piece by Lara Baladi (composed by Nathaniel Robin Mann. 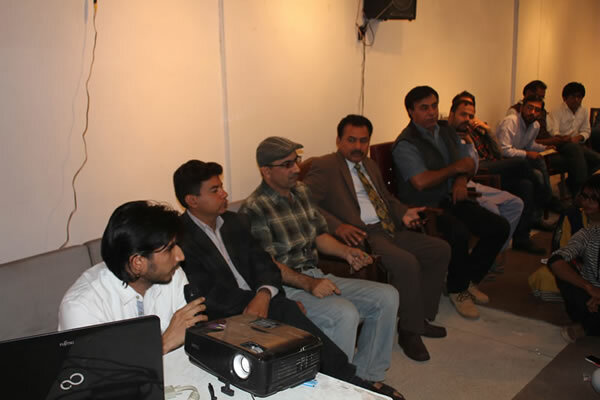 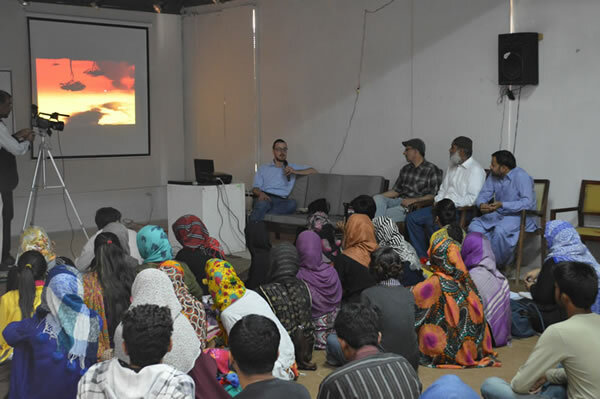 This event was attended by students from various art institutions from Karachi such as, IVS, KU, KSA, CIAC as well as many other people who are part of the art world. 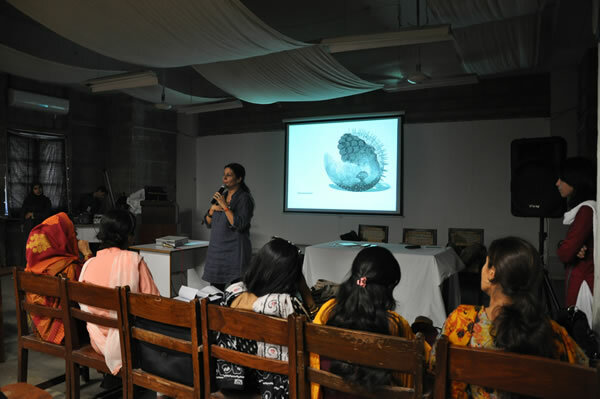 All those who attended the artist talk found the experience to be highly enriching as the residency’s outcome offered a diverse flavor of art interaction for one to indulge in. 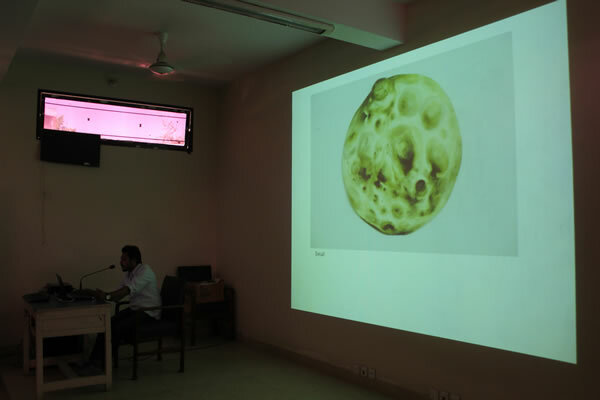 Not only did the artist execute their expression in very different form of art from one another but also belonged to a variety of interesting cultures which was very exciting for the viewers as much as it was for the artists themselves. 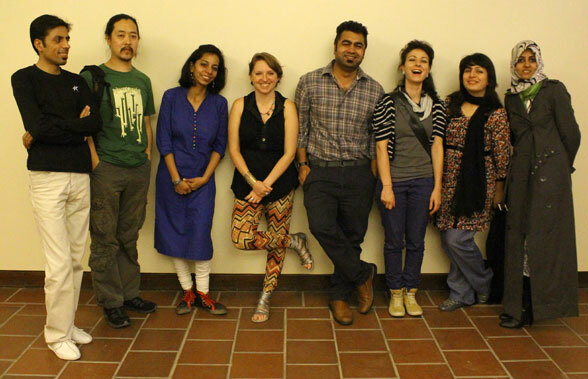 Damon is attending a three week artist residency at the Indus Valley School of Art and Architecture in collaboration with Vasl Artists’ Collective. 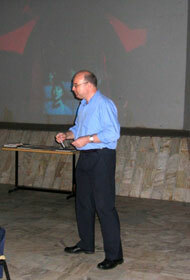 Damon’s work is mostly about his travels around the world. 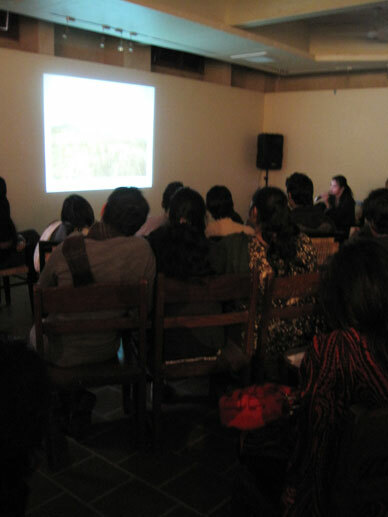 The presentation followed a question/ answer session which was insightful for both the artist as well as the audience, as it was an exchange of ideas, as well as an understanding of perceptions. 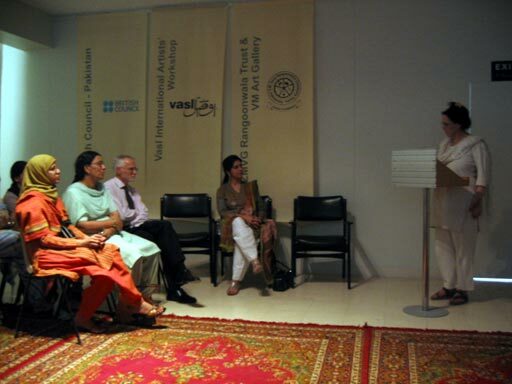 Maria Z.Benjamin and Sana Mustafa’s art share was held on the open day exhibition at the Indus Valley Gallery hosted by Vasl. 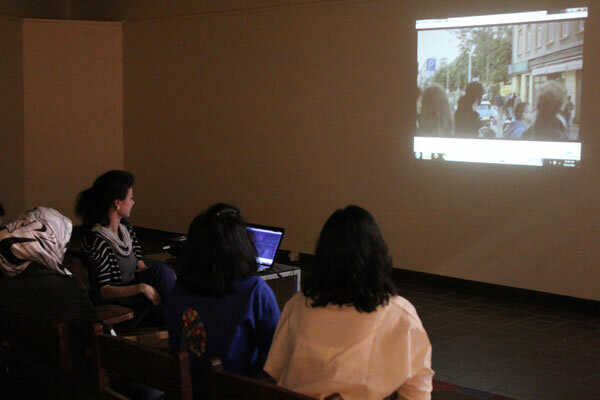 Among practicing artists and art critics, students from all the local art institutions attended this art share. 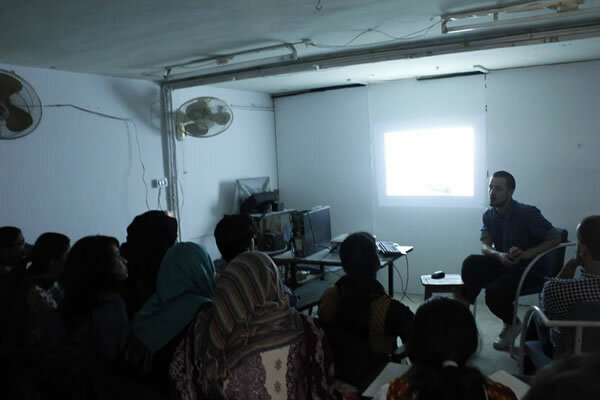 It was a great experience for the students as they become aware of the fact that the process which leads to a finished piece of work is very important and crucial. 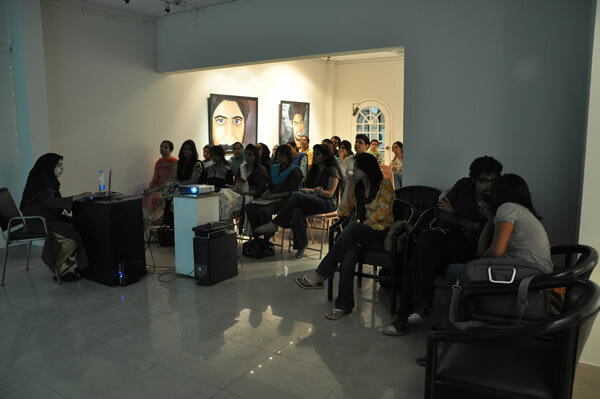 It gave them a new perspective of the way work is being done in the art world today. 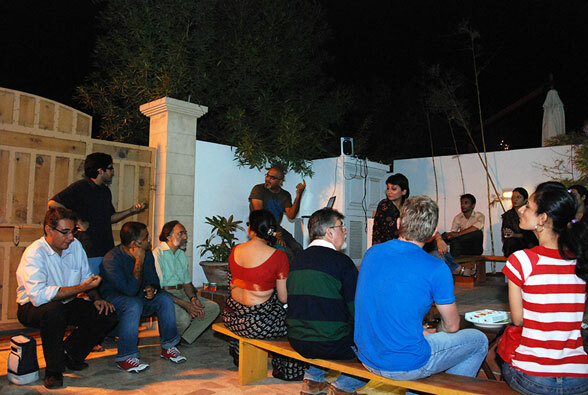 It was enriching exchange which helped both the artist and the audience. 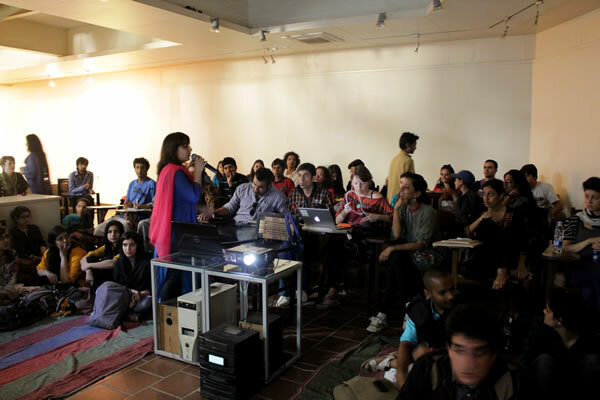 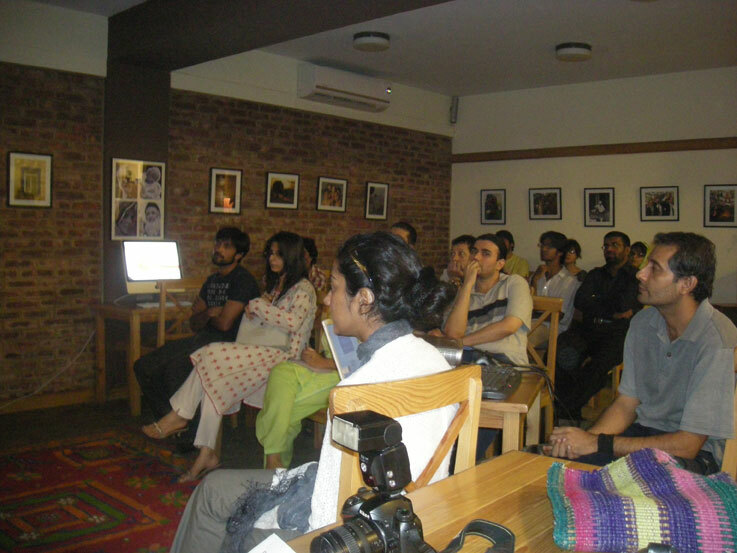 Taaza Tareen V Art Share, was hosted by Indus Valley School of Art and Architecture. 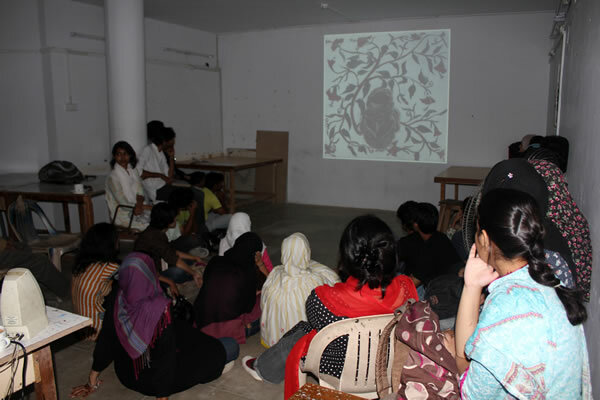 The artists’ gave a presentation of their art practice to the students, which later followed a question/answer session. 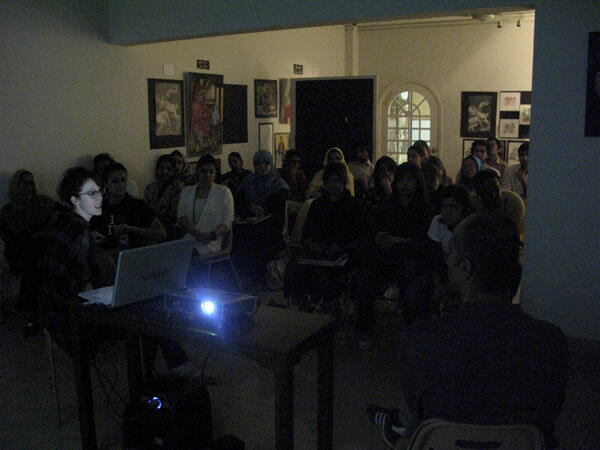 It was a chance for the young artists’ and the student to exchange ideas and share experiences. 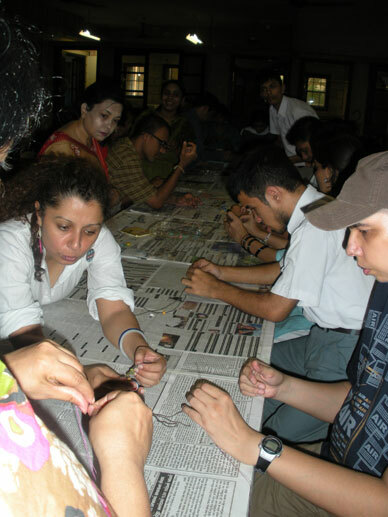 It was an essential interactive activity for the students and the young artists as they could relate to each other being recent graduates. 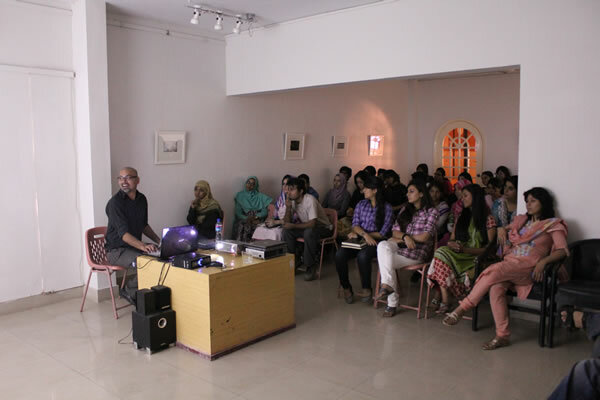 As well as an insight for the students, who will soon be paving their way into the art world and pursuing their careers as artists. 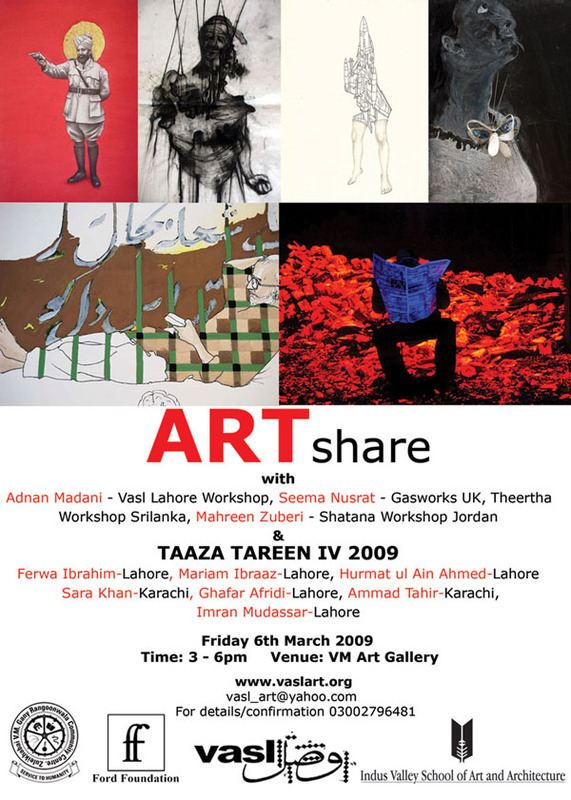 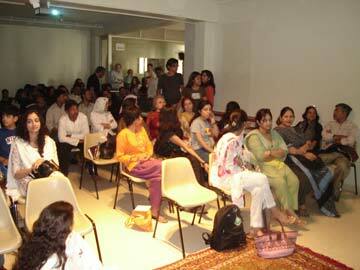 Taaza Tareen V Art Share, was hosted by the Visual Studies Department at Karachi University. 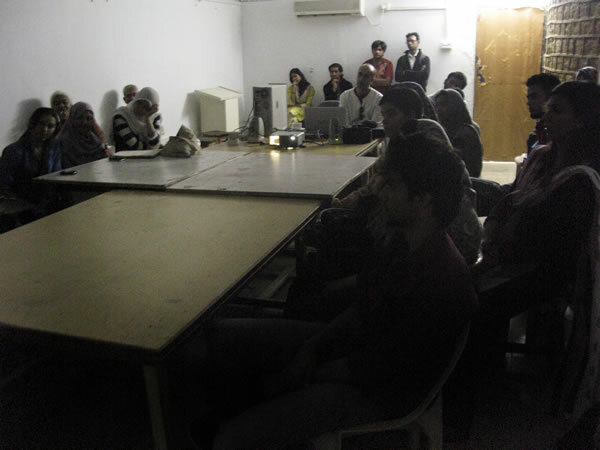 The artists’ gave a presentation of their art practice to the students, which later followed a question/answer session. 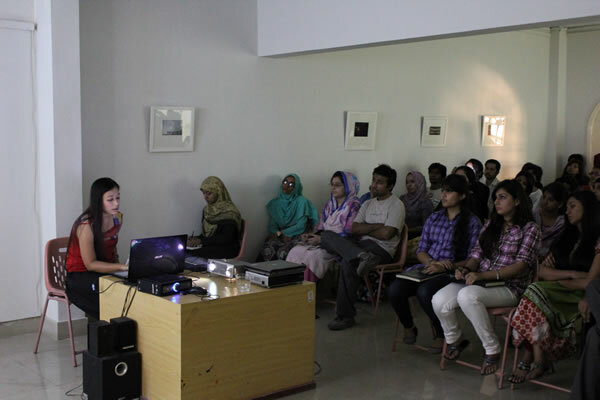 It was a chance for the young artists’ and the student to exchange ideas and share experiences. 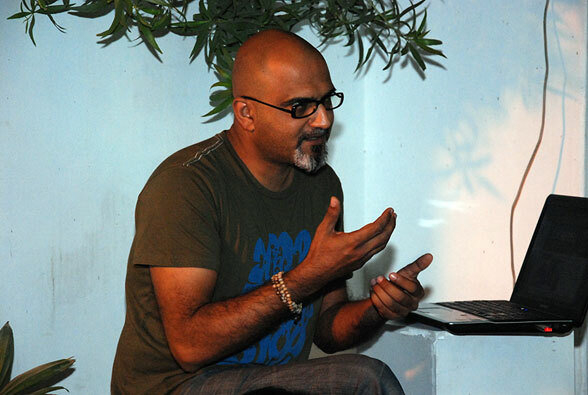 Faisal Anwar is a digital media artist Pakistan/Canada with diverse backgrounds in theater, film, media, interactive art and graphic design. 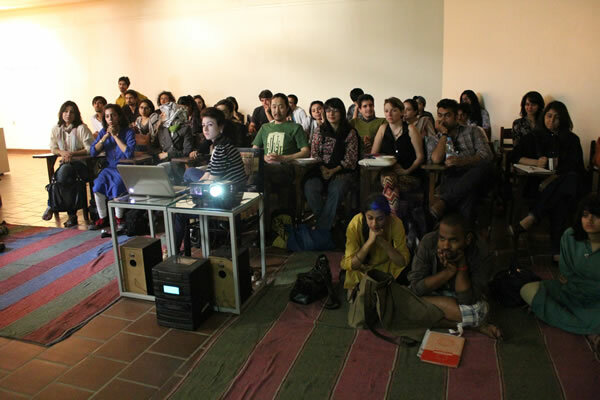 Anwar’s art practice explores fictional, sociopolitical and edutainment narratives. 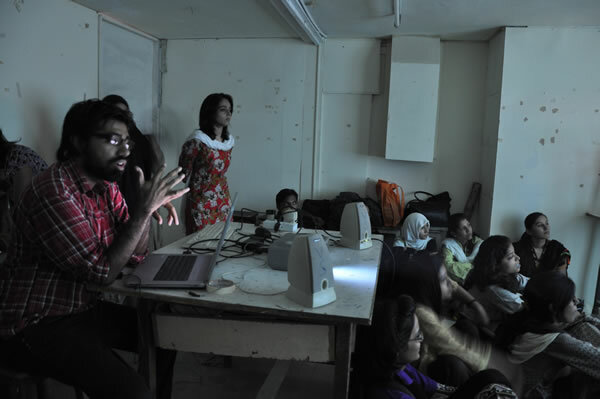 Anwar is interested in creating multiple layers participatory experiences and challenges the convention of viewing art and environment. 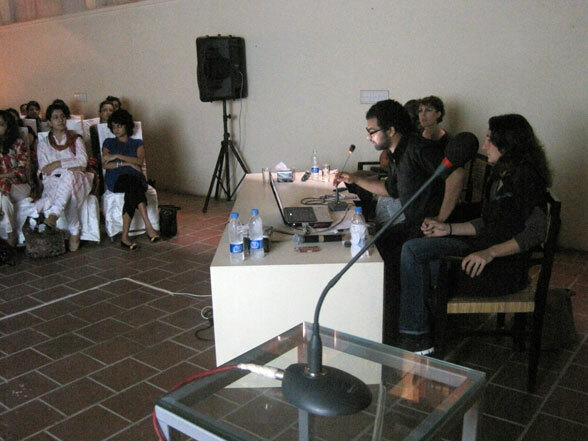 His projects often bring together art and technology in an odd configuration to explore human perceptions towards architectural spaces, surveillance, and social interactivity in modern urban cultures. 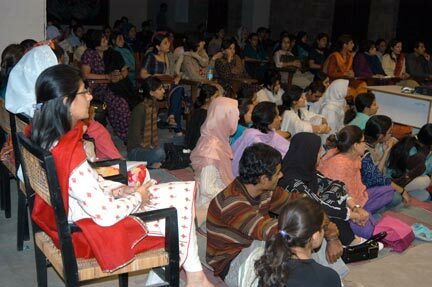 He has shown nationally and internationally. 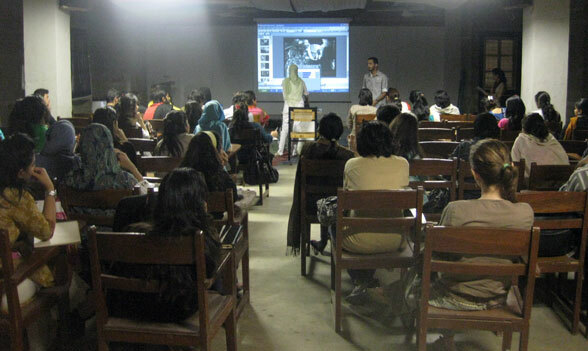 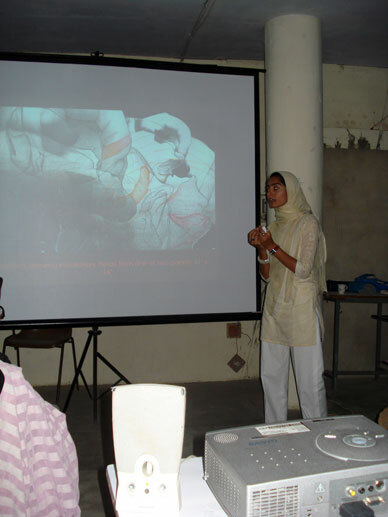 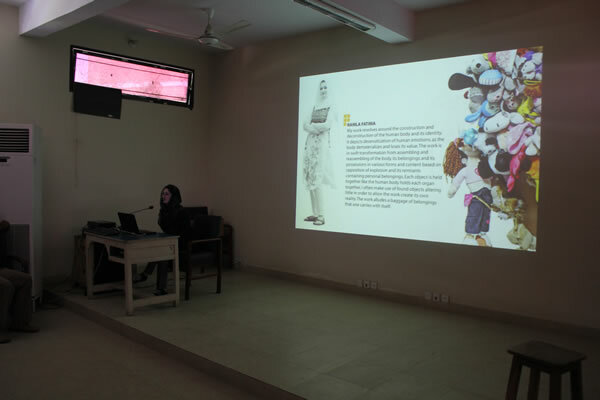 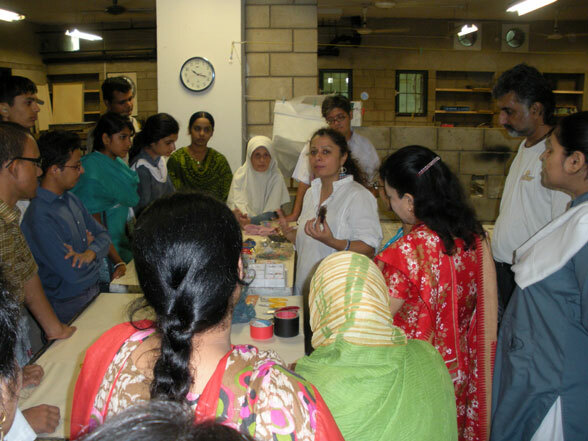 Masooma also shared her art practice with a larger audience at the Vasl Art Share and with the medical students at the Agha Khan Medical University. 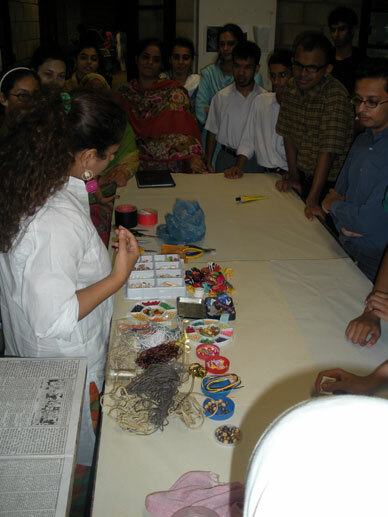 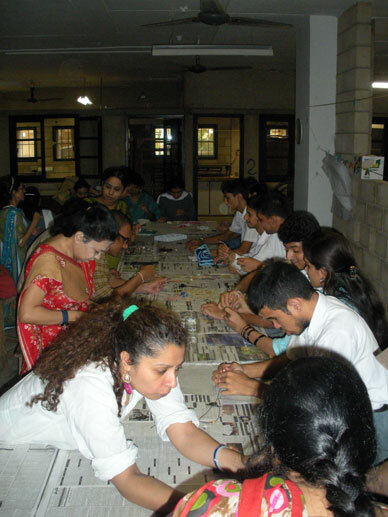 Further, Masooma conducted a Jewellery workshop for the students with special needs enrolled at the Karachi Vocational training Centre (KVTC), encouraging the students to work in found materials, such as buttons, scraps of cloth, strings etc. 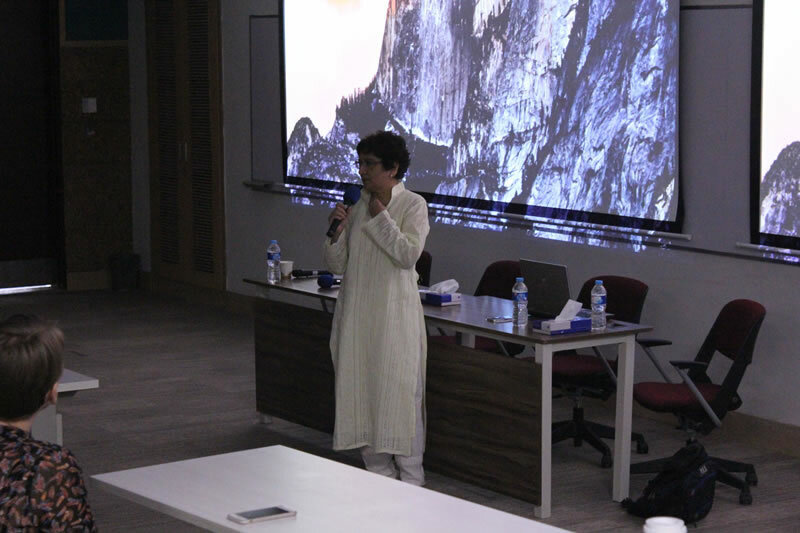 Constantly emailing Adeela, Auj and Naiza to know the situation of the place, made me feel comfortable to come to Pakistan for the first time. 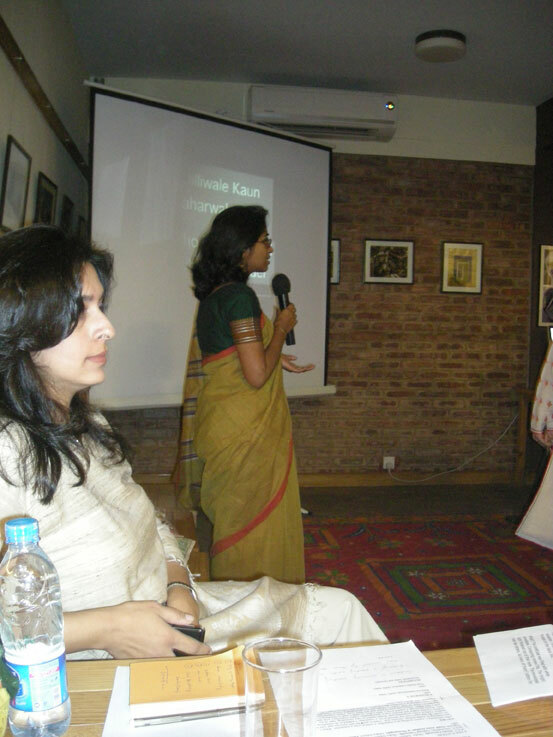 Suicide bombing in Karachi on Bhutto’s return and then her assassination in Rawalpindi were intimidating facts of the land intensified by the broadcasting international media. 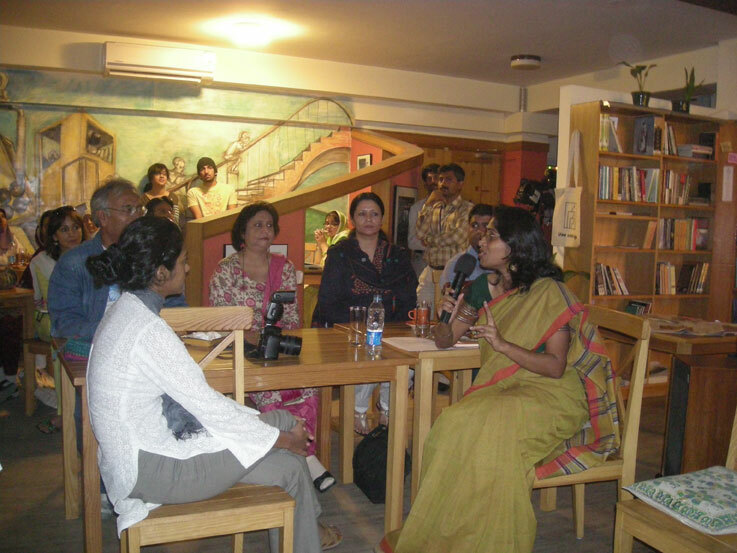 Undoubtedly all the uncertainty on the socio political level had terrorized me. 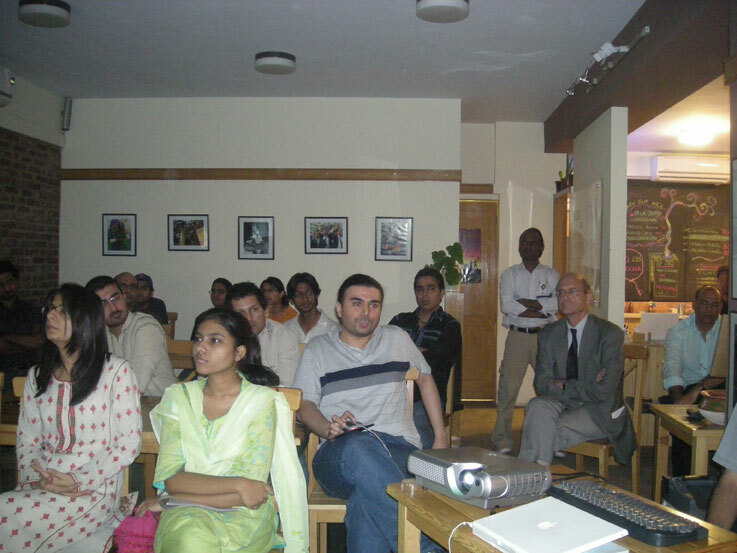 It is always the same back home and wherever you go in South Asian region. 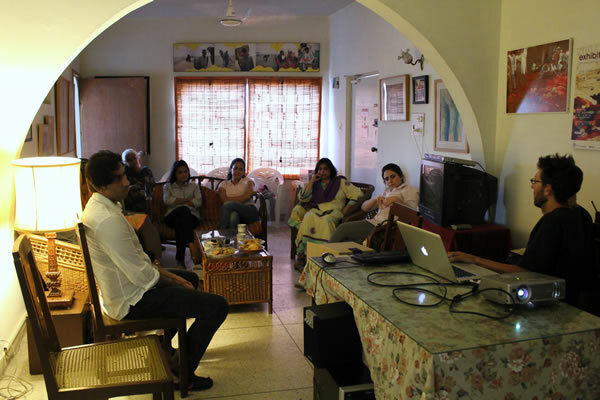 At home, I am used to the news of our own problems but it is always difficult to know others ground reality. 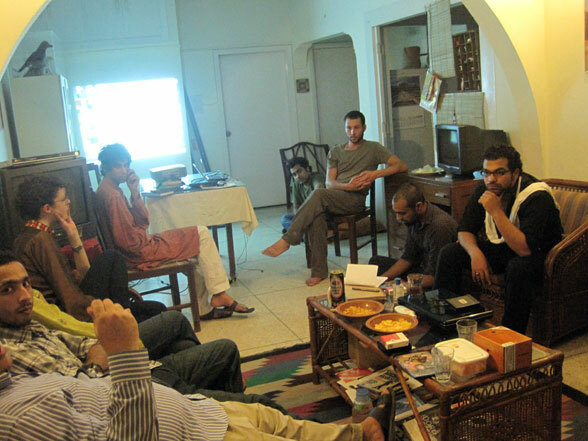 As I reached Jinnah International Airport in Karachi and was driven toward VASL flat my conversation with the driver started from the security in the city and ended up with the cricket game. 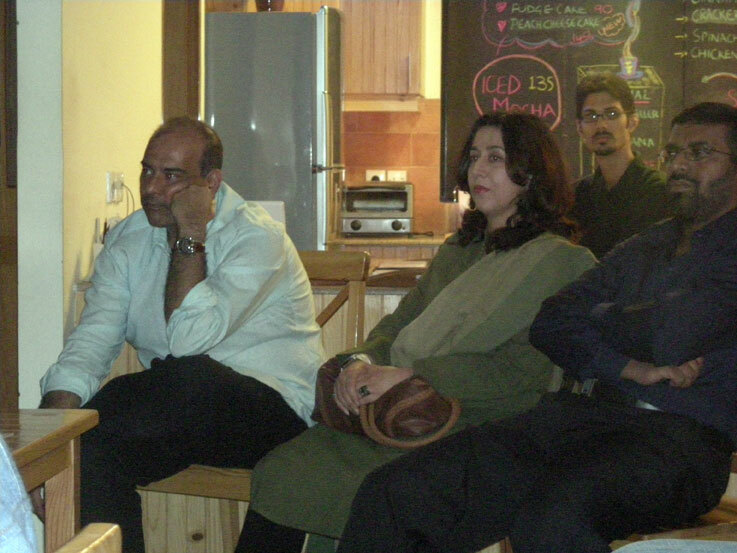 After meeting all the people at VASL and Karachi, I felt much more comfortable and at ease. 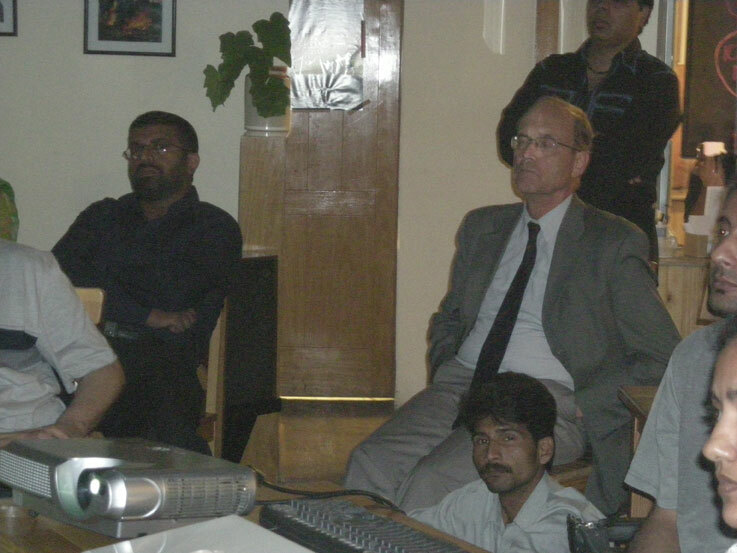 After spending time in Pakistan, I felt that all the news of the land was perhaps exaggerated facts internationally. 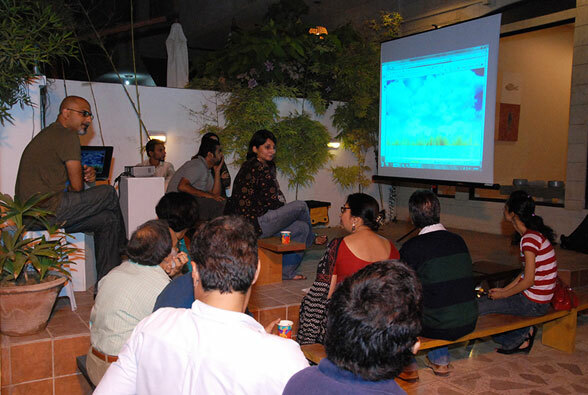 Might be it was all remote from me, but watching the media it seemed as if it was happening everywhere in the nooks and the corners. 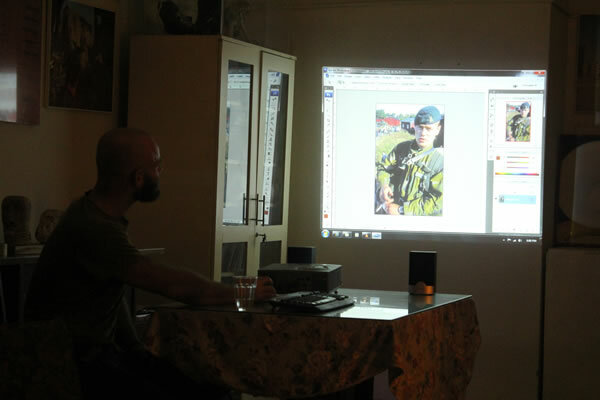 Since I am an artist, this idea is always a subject for my thoughts. 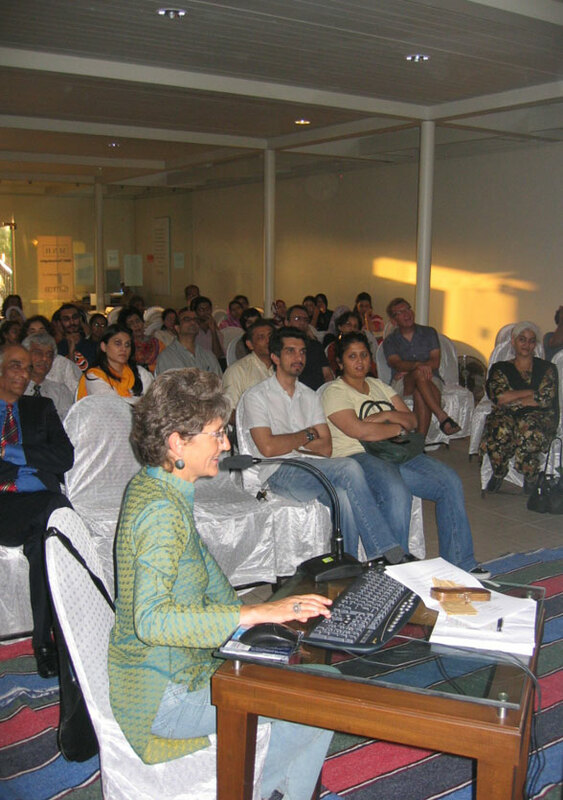 I always try to make people smile and that is the intuition of my personal behavior. 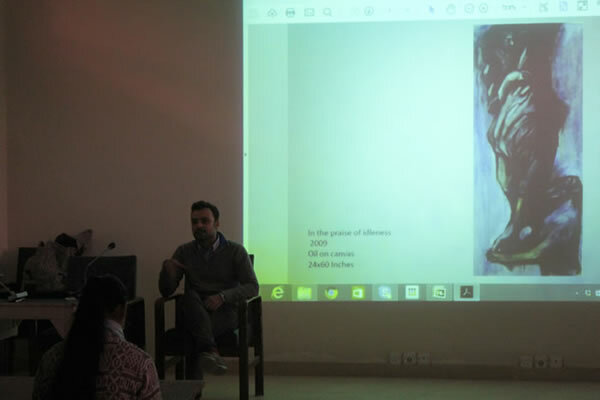 I created a symbol of privacy or silence, by using repeated photographs of myself with a finger on lips, directed towards the media to shut the rumors up and make the world a peaceful place to live. 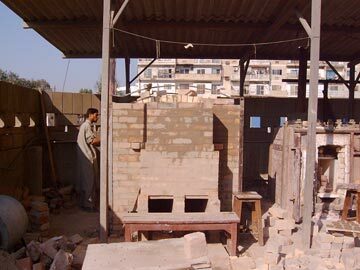 To find space for yourself from all this facts, it is better to make a private place, but it is hard to find the space for privacy in this busy life style, therefore I depict the idea of privacy with the symbol of wash room, the commode, where the picture of shutting the lips are pasted. 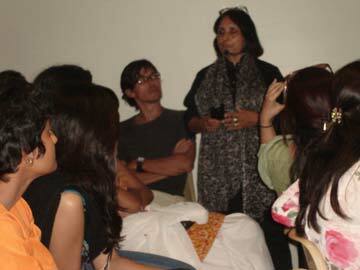 It is entitled “Privacy Please!! 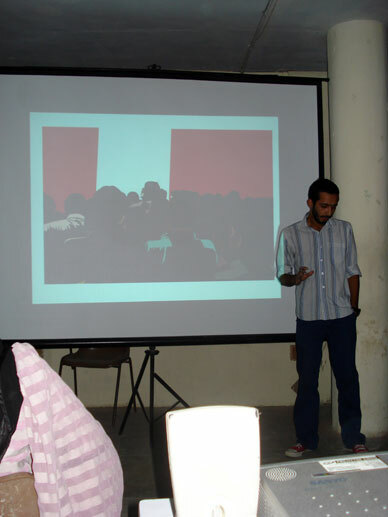 !” The work “S…s…s…sh…” also depicts the thoughts of being yourself and free the mind from external pessimistic influences. 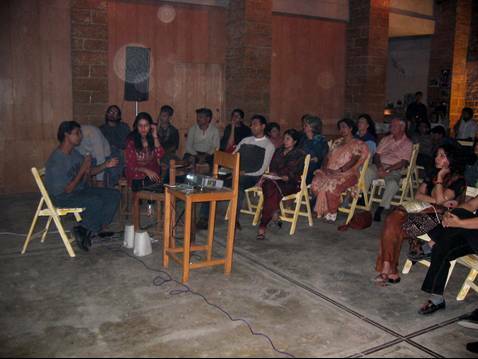 Somewhere in my mind I think, I brought my nostalgia along. 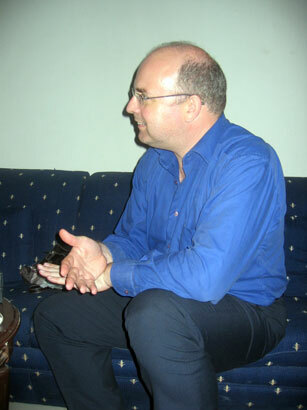 And also chatting with Naiza’s little daughter Lolo, always reminded me of my newly born son back home. 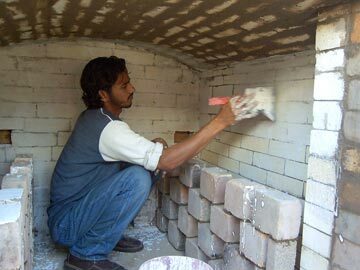 I take everything so personally because of being born, brought up and also trained on a very personal level. 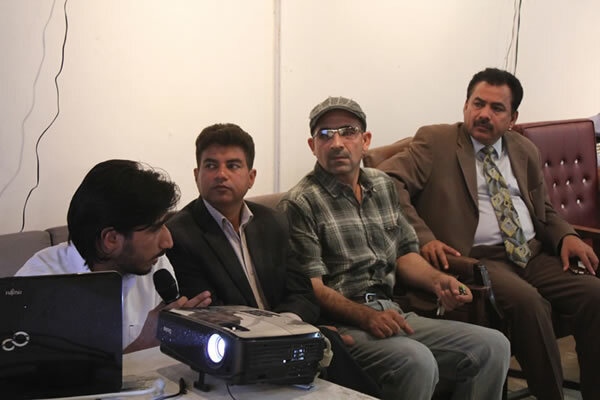 In such personal influence, I took up the challenge to make a family of three people- father, mother and child coming to this Islamic land. 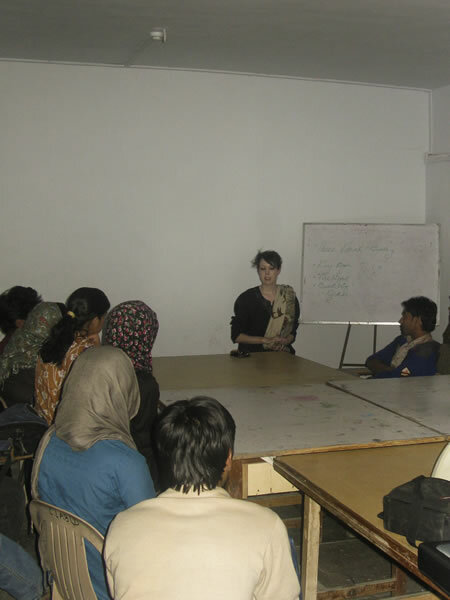 It is always so beautiful to know geographical differences of the nations and that always inspires me. 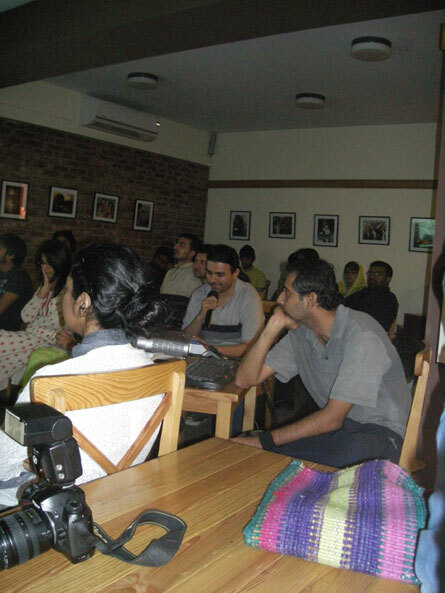 There is no sea in Nepal and hence my desire to see the sea. 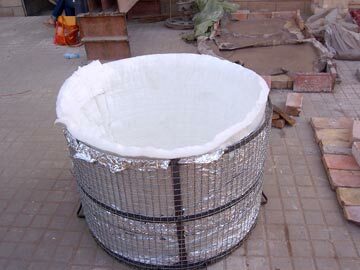 It is my assumption of my child’s desire to see the sea. 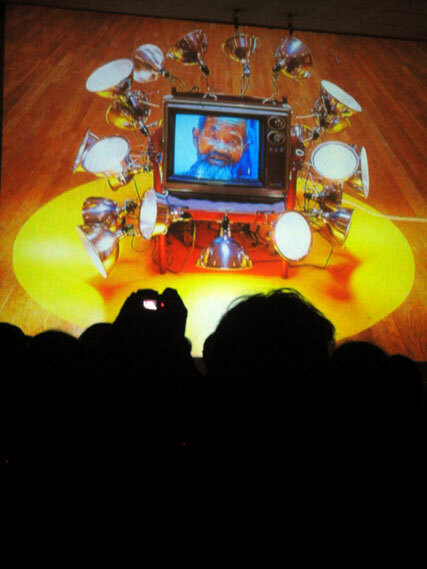 “Mama, I want to see the sea” is the site specific art work. 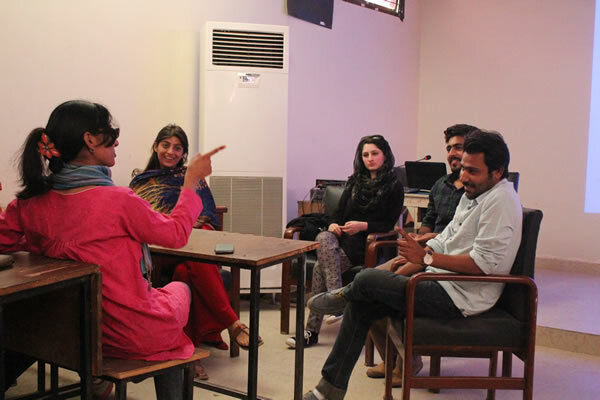 This concept is the amalgamation of nostalgia and reality. 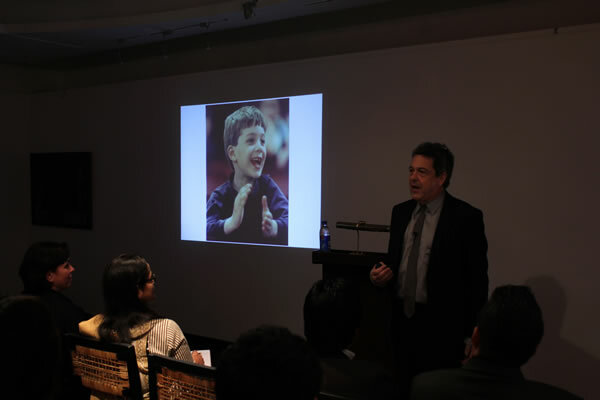 Intuition of back home nostalgia drives me to depict the idea of the desire of the child’s playfulness. 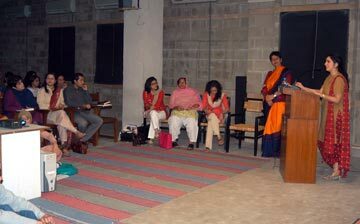 It is more about my own personal experience of being a father of a newly born child. 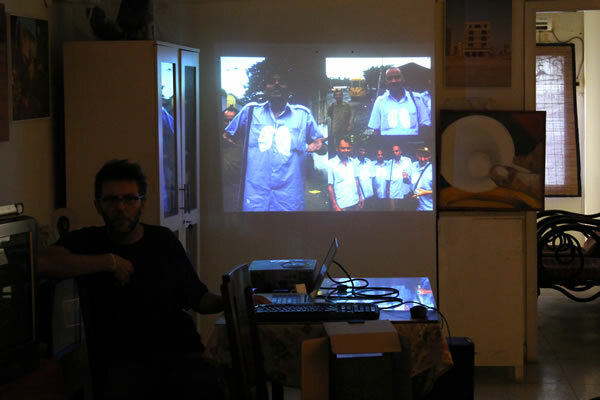 Fulfilling desire of child, “Play on …its baba’s toys” is the interactive art piece where people can play with their innovation of life. 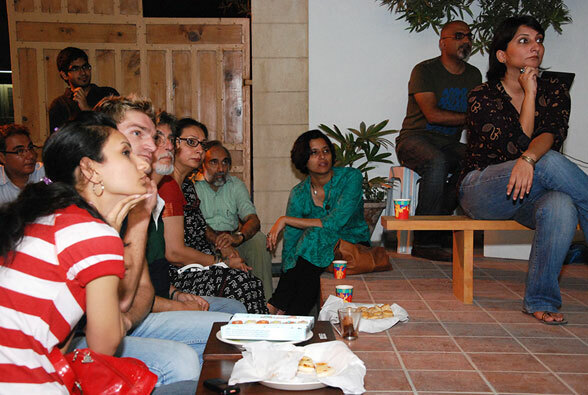 Four balls are designed with very local accents like ‘ Kya masla hey!? 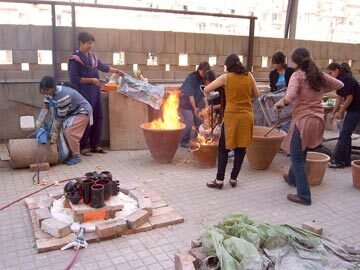 !”, made in mind, papu ki gaind, almost red, mere lal, to depict the local reality and celebrating life whole heartedly. 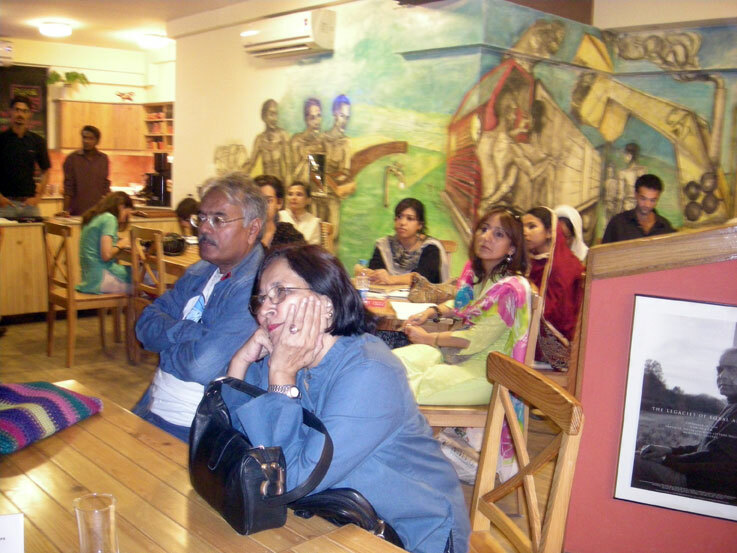 To add on the gesture to the reality, I created “Man in White”, pasted with Urdu Scripts and heart of silver determines the mystery and “Woman in Black” with golden heart and just the eyes shown, which I see usually in the crowded city market in Karachi. 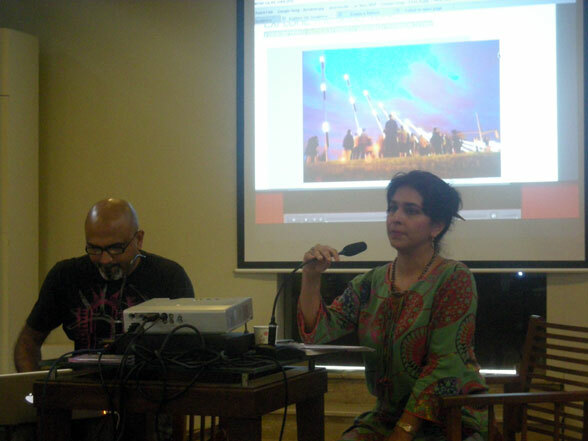 “Karachi and buses” is also an art piece that deserves the artistic exploration of the city. 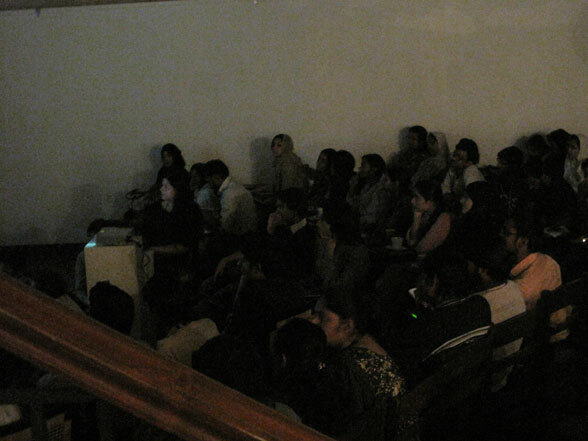 I always feel so curious to know about all the hidden tendency of the people here. 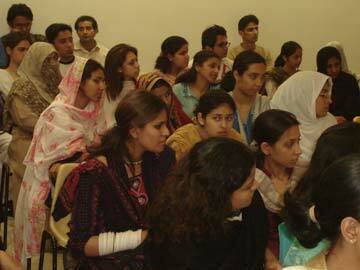 Almighty Allah has given them the heart of generosity and optimistic thoughts for better future. 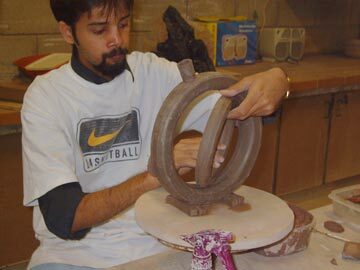 “Listen heart” and “Big heart” always came in my mind and depicted into the art pieces. 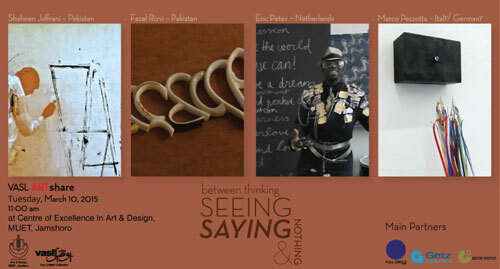 “Are you looking?” are the pieces of work that gesture with all the reality you see through. 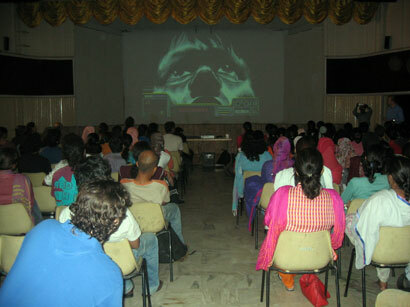 It creates dual conversation between the viewers. 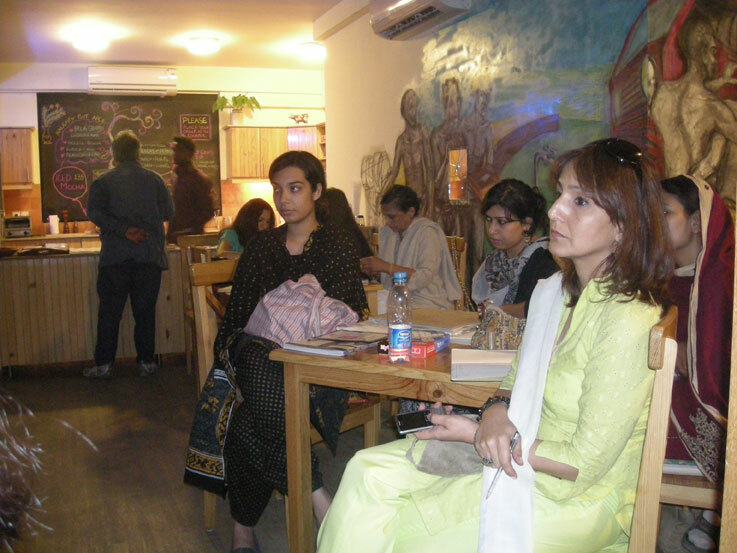 The process is all about getting the reality into positive way through the window of eyes. 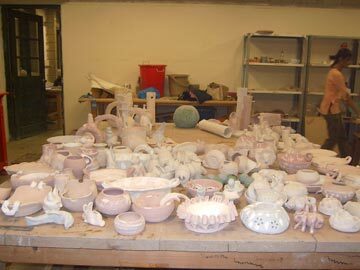 All these art works are created in the influences of life in reality and determination of nostalgia. 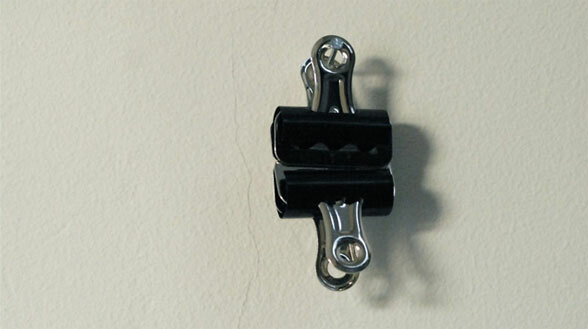 Somewhere these also determine playfulness, satire and humor. 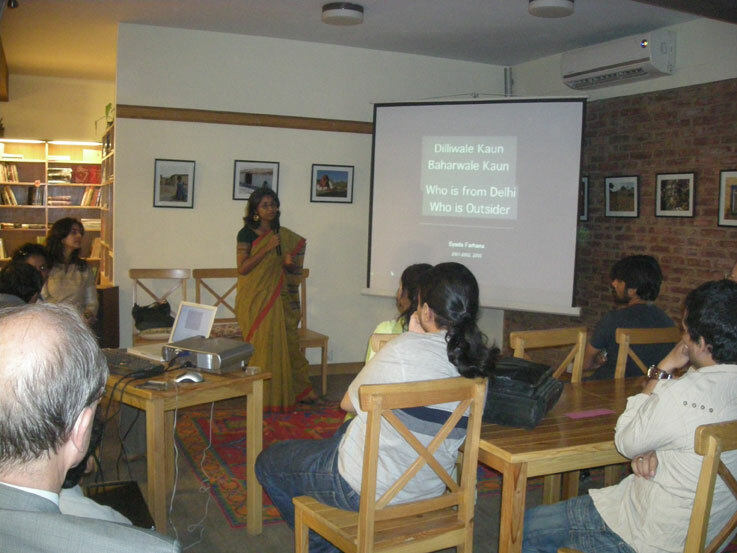 It is all about creating awareness to the socio-political environment around the globe by the gesture of humorous satirical juxtaposition. 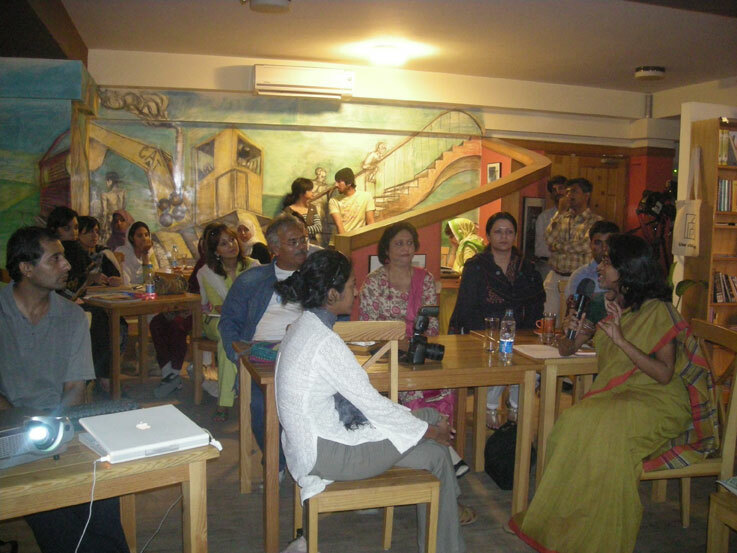 “Art depicts life of individual, social and political potential. 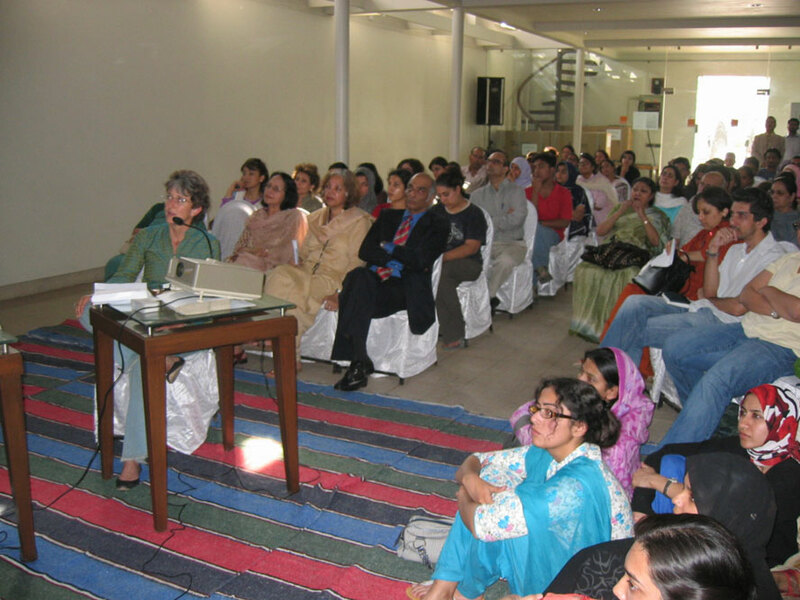 In many circumstances it predicts value of spirituality with all meanings of history and directs the apt senses into future. 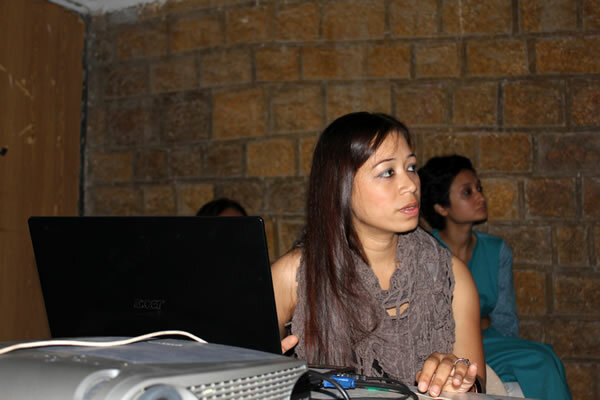 I am into this deep thought of making the world know better about all these facts. 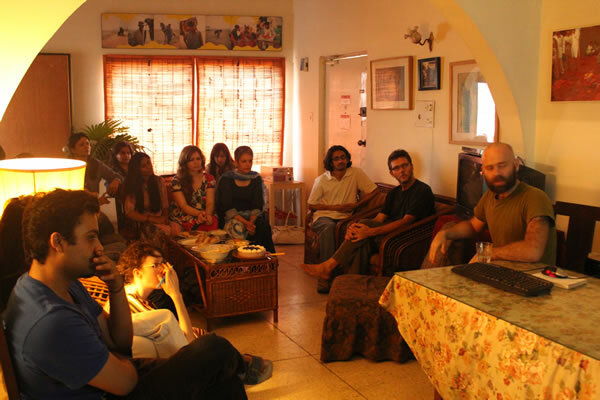 We know we are all nature but the brain acclimatizes the materialistic term. 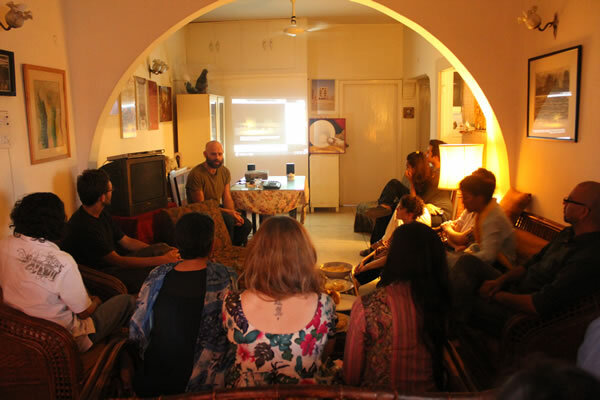 Life of materialism sophisticates the urge towards the reality to make it easier. 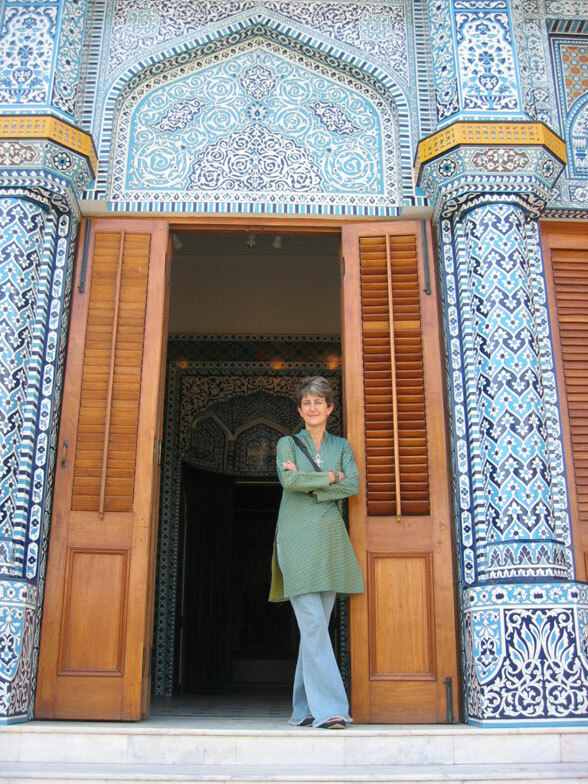 From this area of intuition, I plunge into art to face the veracity and the facts. 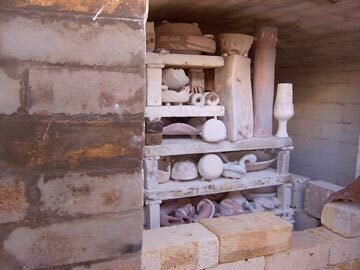 Out of this muse, practicality is more profound.” It is all the process of creativity and I believe in these facts. 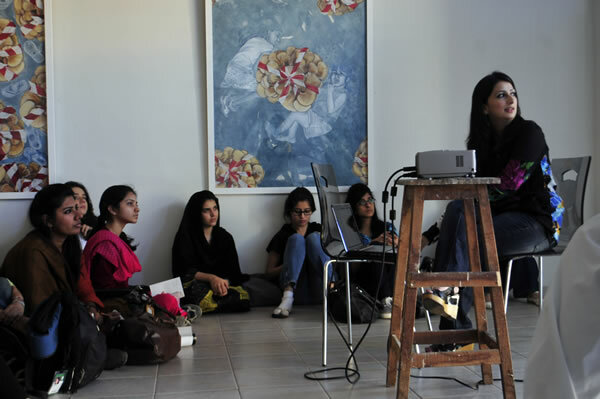 As an artist, my concerns have always been my immediate environment. 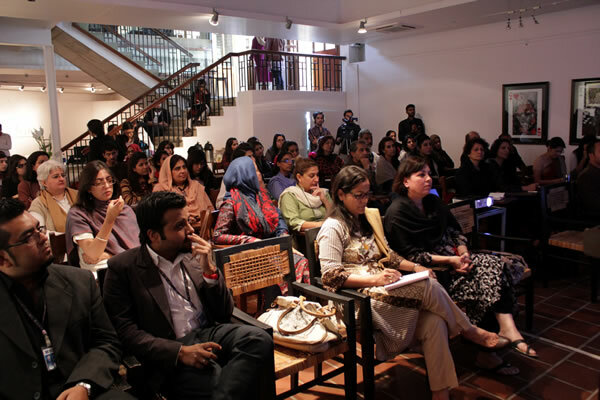 I grew up in Karachi, Pakistan – – a society constrained by tradition, threaded through with colonial legacy and subjected to the most rapid changes due to the impact of globalization. 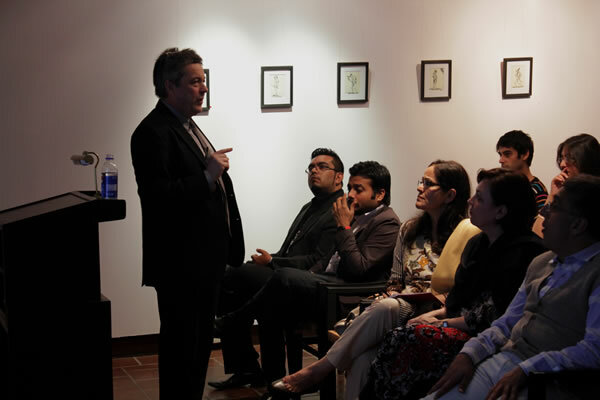 My work there had attempted to define national and cultural identities of a society in flux. 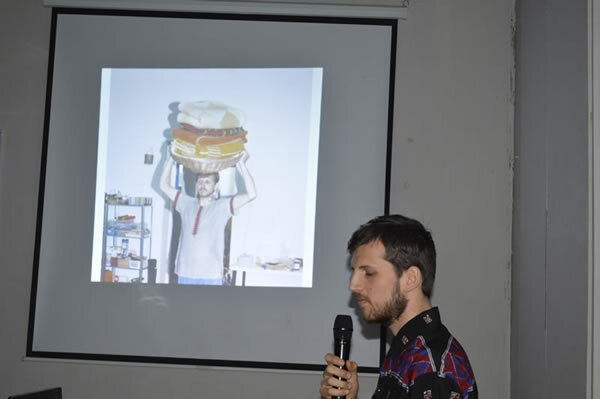 ‘Ronald’ from McDonalds and ‘Colonel Sanders’ of Kentucky Fried Chicken (KFC) became revered icons in the imagery of my artwork; celebrating, dancing, invading, controlling, and challenging the very vulnerable/sacred ideals of nationalism in our society. 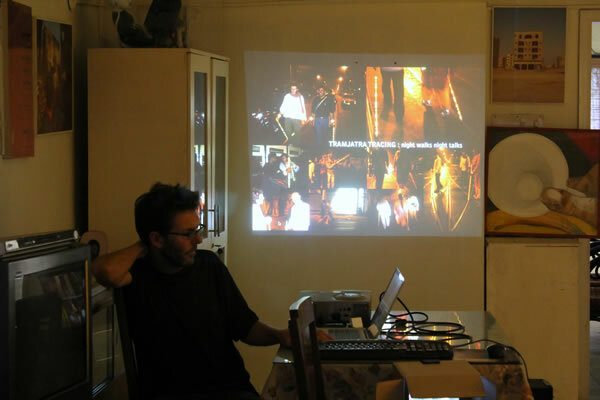 Moving to New York, the fascination with city life and its impact on personal identity, continue to grow. 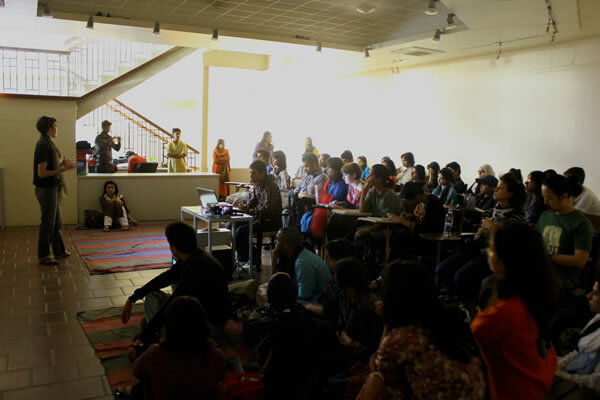 The magnitude of New York City’s structures and its tremendous ability to absorb diversity holds me in awe. 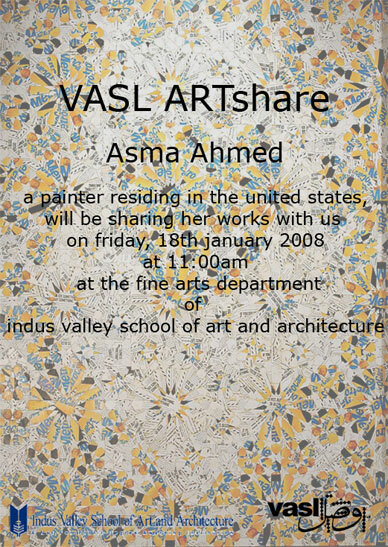 The first body of work here titled ‘Home’ documents my personal experiences of getting married, and adopting the city as my new ‘Home.’ I incorporate varied visual styles and materials through which I am exploring my identity as a Muslim, an immigrant and a mother of an American born baby. 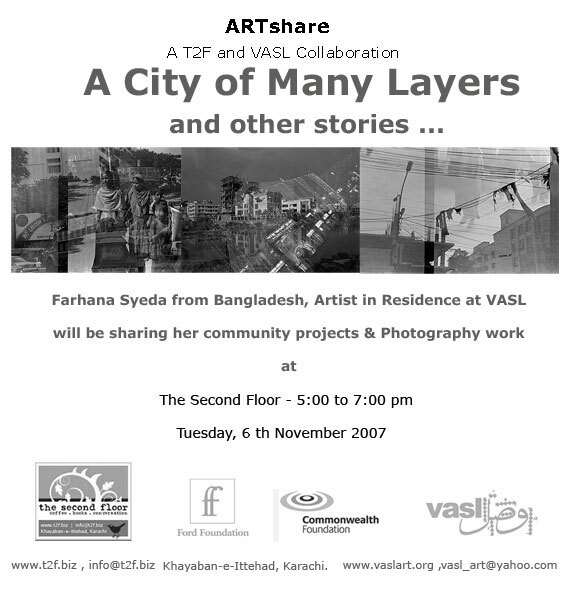 As I paint, I embrace the city’s territories, its revered icons and grow closer to it just as I do when I walk its Avenues and Streets. 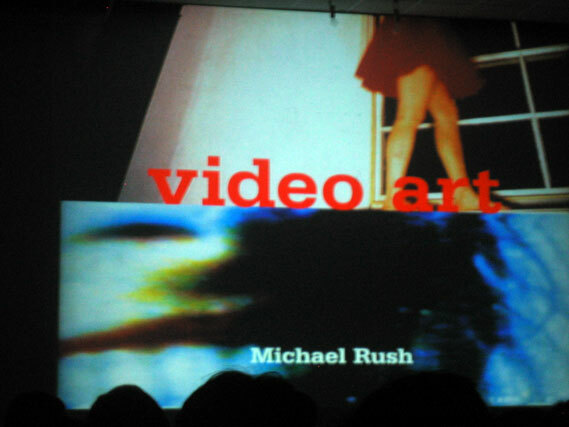 My recent work was shown at Ceres Gallery in Chelsea NYC as a one person show in January 2007. 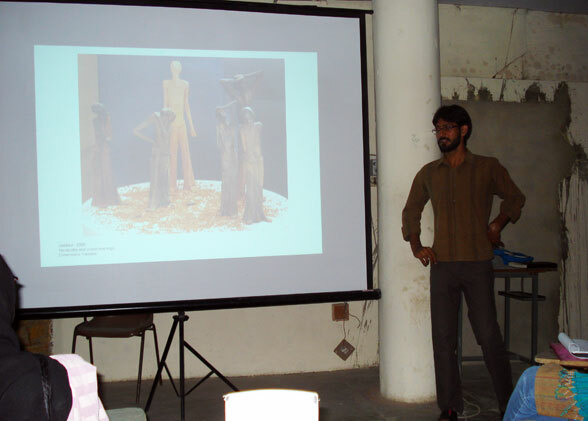 The work was titled “Liberated”. 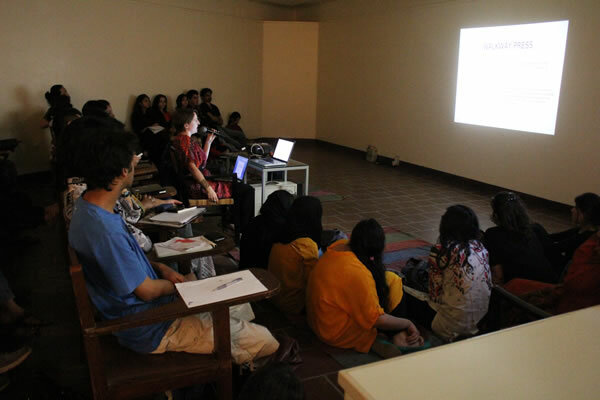 Dr Monica Dematte presented two lectures on her views on Chinese Contemporary Art on her first visit to Pakistan. 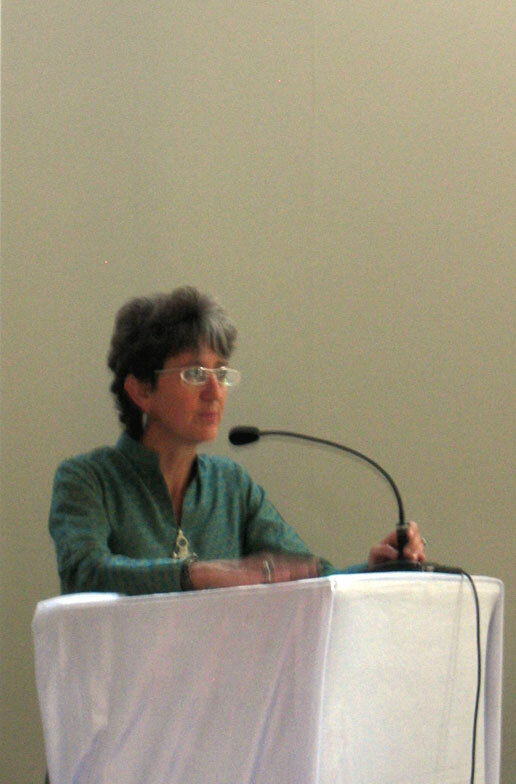 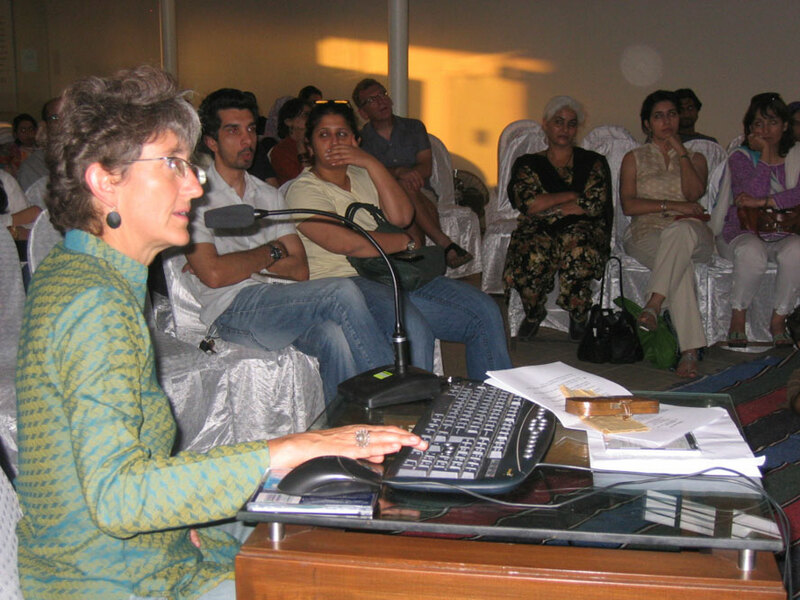 Dr Dematte graduated in Art History from the Department of Arts, Music and Performing Arts at the University of Bologna of Bologna.She then did her Ph.D. in History of Indian and Far Eastern Art from Venice University University and is Lecturer on Chinese Contemporary Art at the Venice University, Italy. 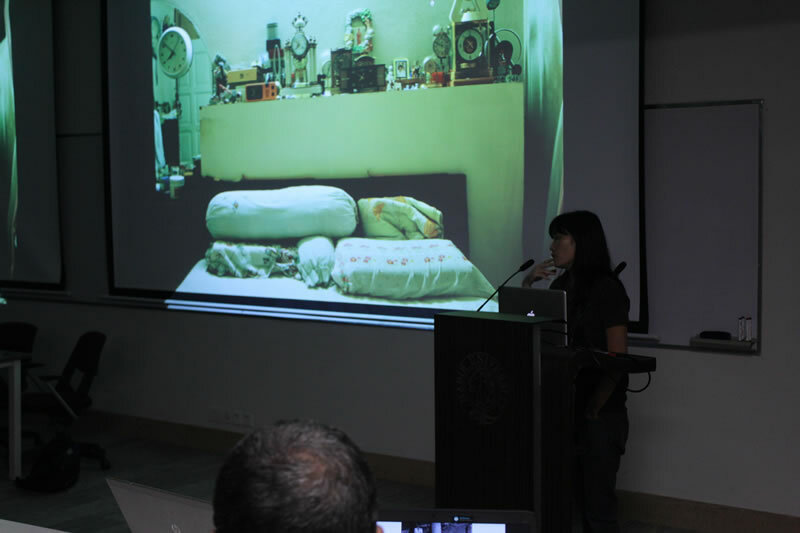 She is one of the foremost experts on contemporary Chinese art, not only in the English language but also in Chinese. 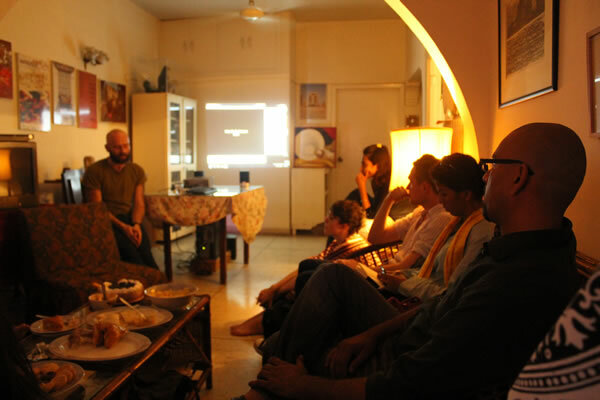 Dr Dematte’s curatorial experience stretches over a decade and across several continents. 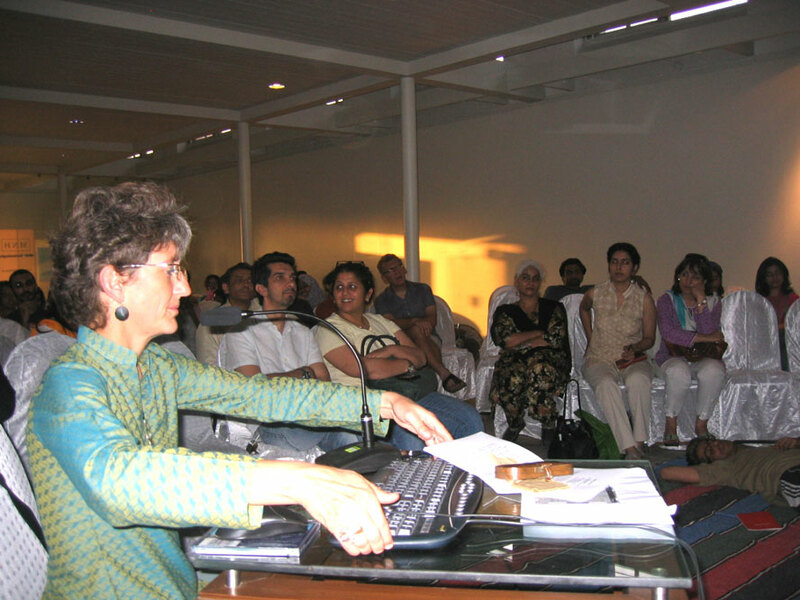 She curated the Beijing Tokyo Art Project in 2005.She has contributed to the Venice Biennale with numerous essays on Chinese artists. 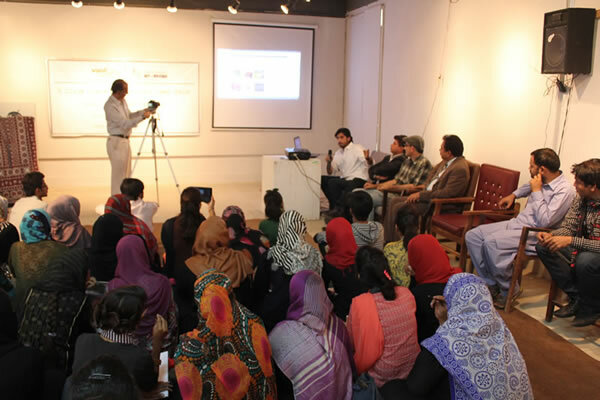 Sponsor: MNH Technologies (Pvt.) 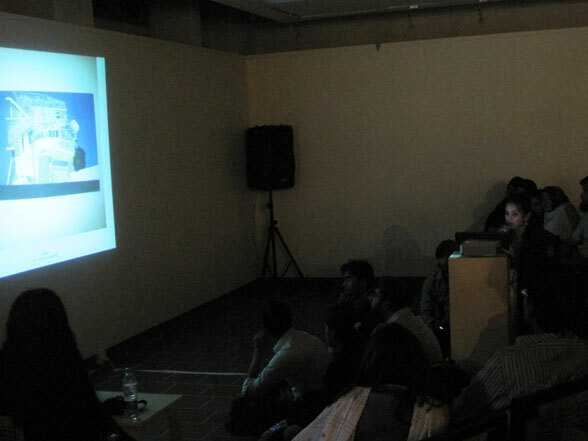 Ltd.
Pijnappel co-curated the World Wide Video Festival in Amsterdam. 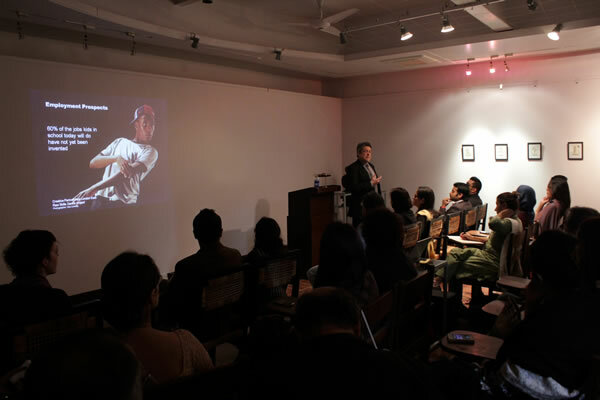 In the last ten years he has concentrated on the social engagement within Asian video art and the subject of cultural translation. 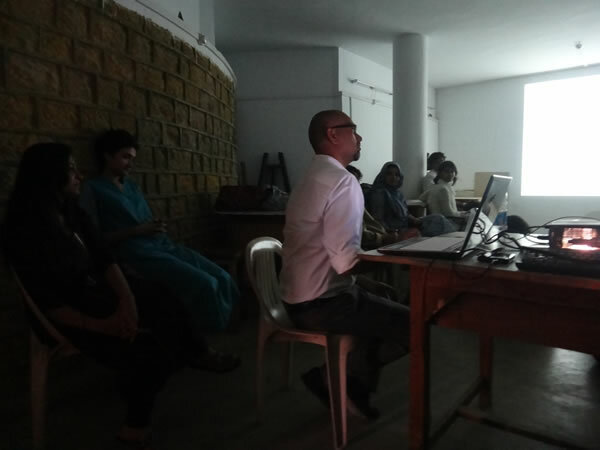 His latest curatorial projects have been ‘Indian Video Art-History in Motion, Fukuoka Asian Art Museum, ‘CC: Crossing Currents-Video Art and Cultural Identity’ and ‘The 3rd Seoul International Media Art Biennial’. 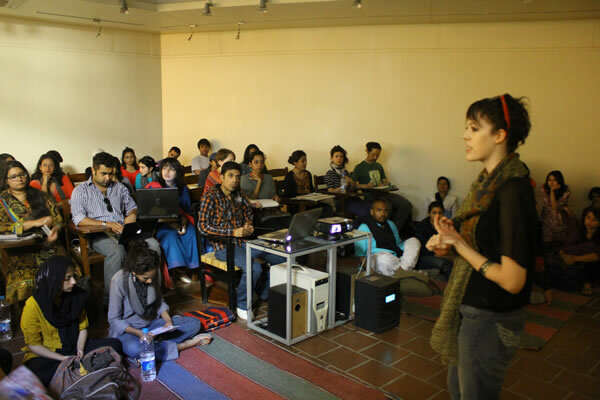 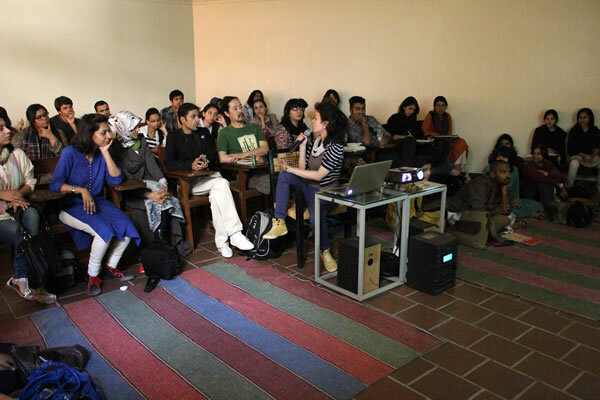 Christina Mackie UK based Artist conduted a two day workshop in-Dialogue with student from The University of Sindh-Jamshoro, Karachi School of Art, North City School Of Art, Visual Studies Department-Karachi University & Indus Valley School Of Art & Architecture. 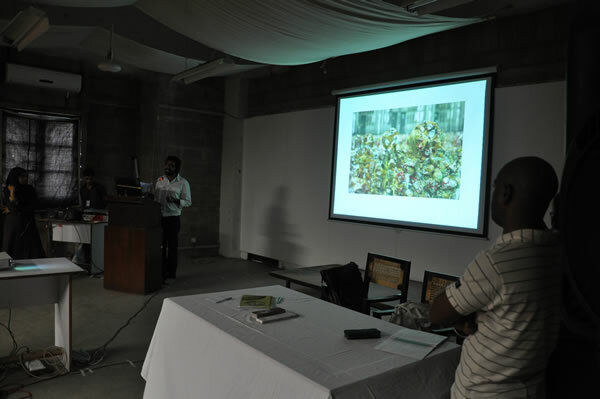 A slide presentation of The British Art Show -6 was also given. 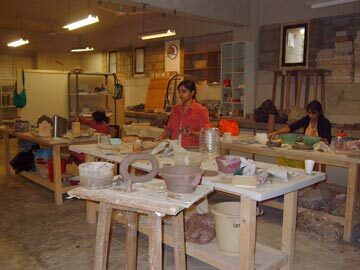 Vasl invited Ceramic Artist Kristine Michael from Delhi, India for a five week teaching residency at The Indus Valley School of Art & Architecture. 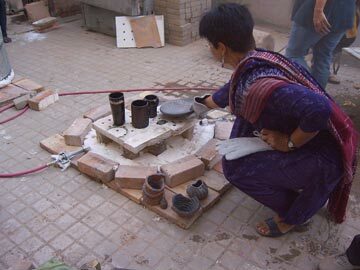 During her stay in Karachi, Kristine visited the Kumharwala – The Potters Colony and Thatta – a city 100 kilometers from Karachi, famous for its pottery and other crafts. 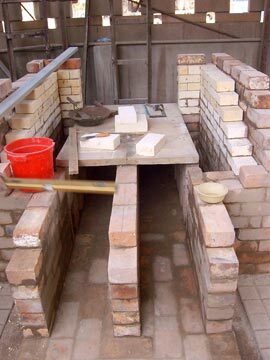 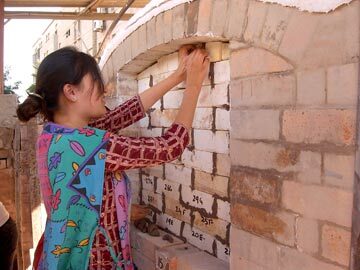 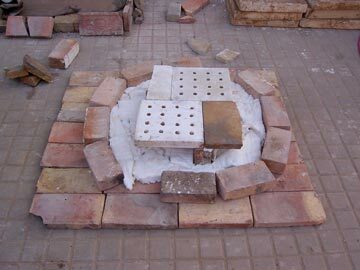 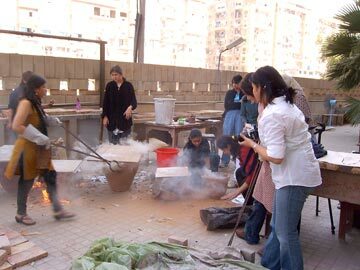 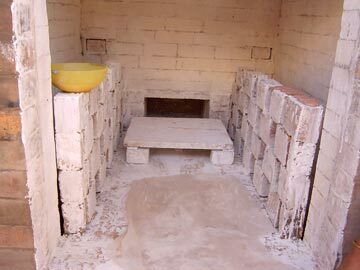 Kristine also helped in building a salt kiln at the IVS. 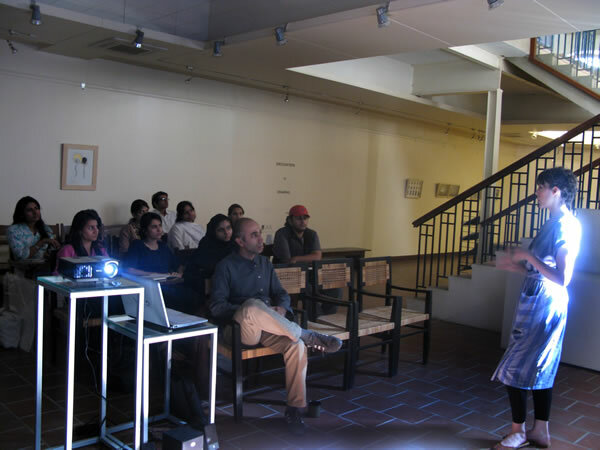 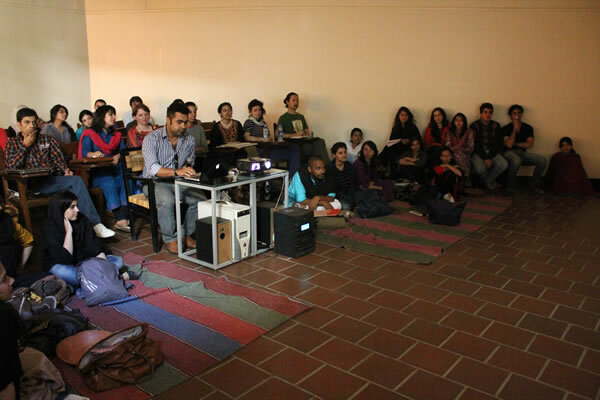 The visit culminated with a lecture and slide show attended by artists and students from all the art schools of Karachi, where Kristine shared with the audience, the work of her contemporaries in India. 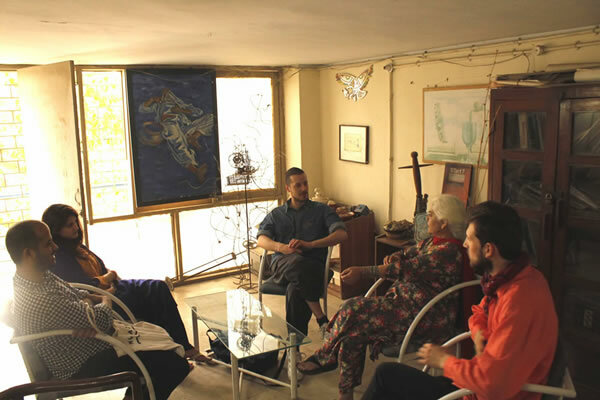 Artists who have participated in the Triangle Workshops shared their work and experiences with the local artist community at the Commune Artist Colony. 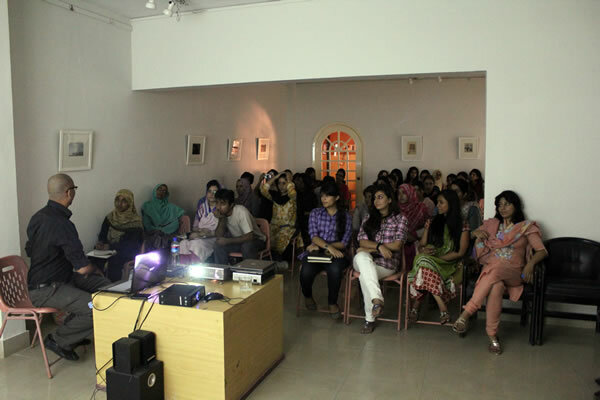 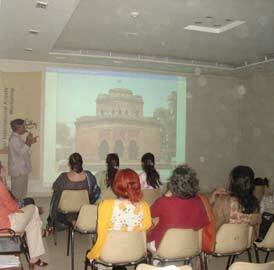 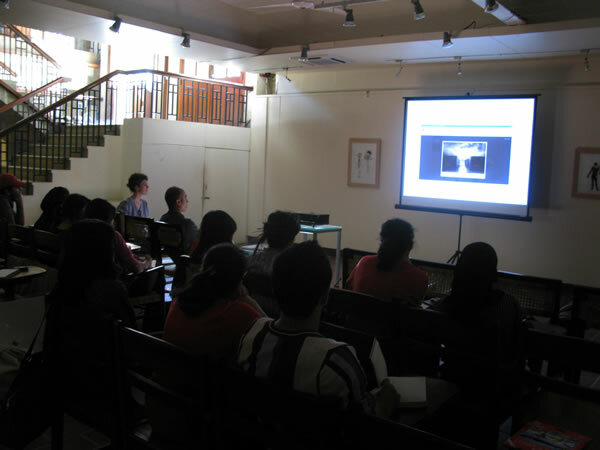 Simone conducted a series of slide lectures at the VM Art Gallery. 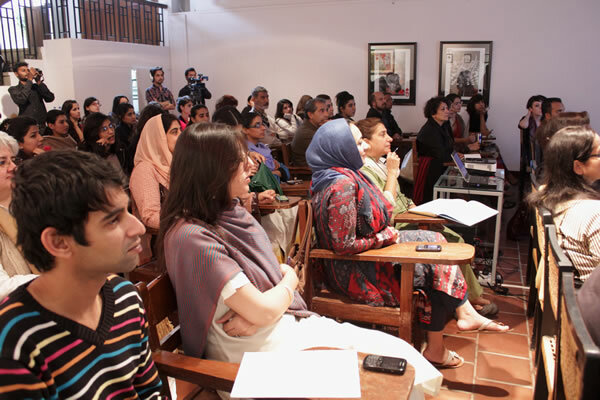 She also initiated an Art writers’ Forum, in which a group of young writers were invited to discuss ways of critiquing and writing about art issues. 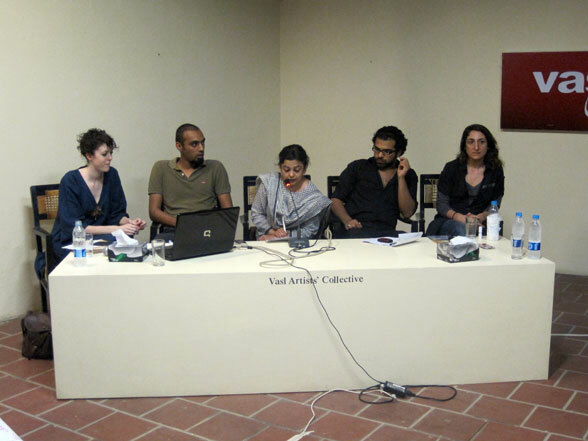 Exhibition of Iranian Contemporary Art in Berlin at the House of the World Cultures. 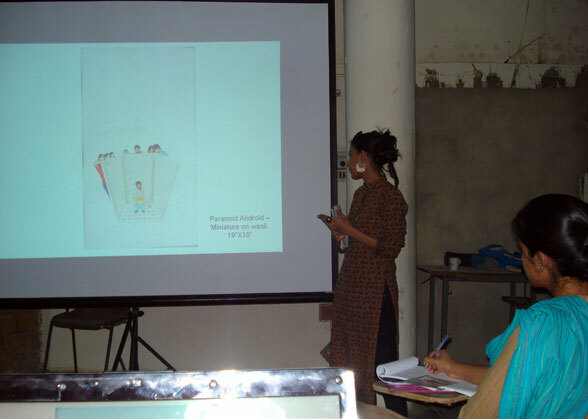 The use of textile in the works of Nigerian –born artist. 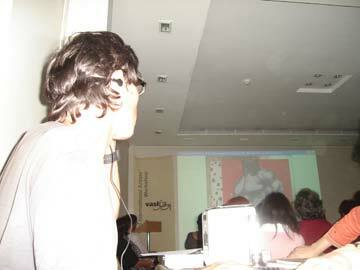 Contemporary Artists and Drawing. 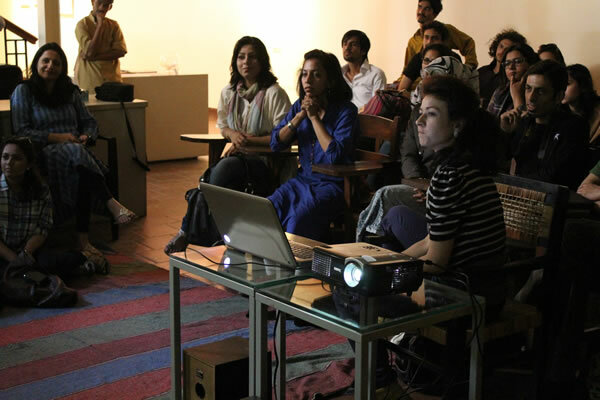 Simone Willes is currently doing her PhD from the University of Vienna, her subject is Contemporary Art from Pakistan. 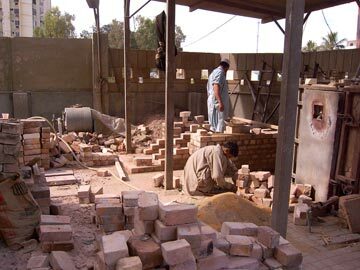 Development and Change: a Regional Outlook. 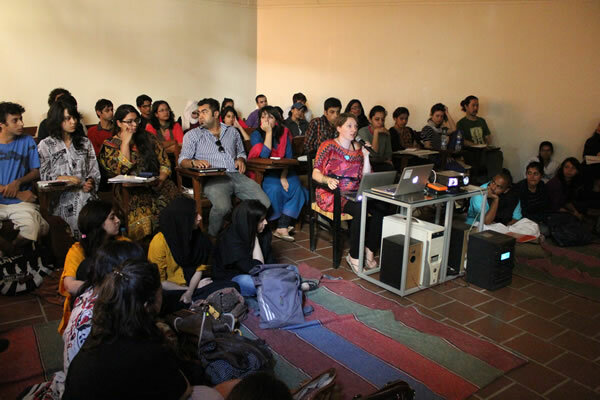 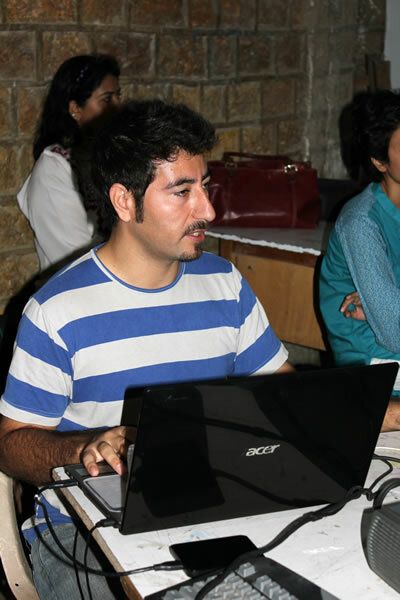 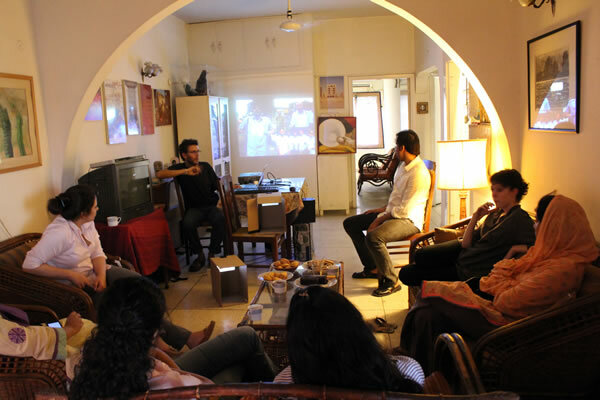 Karachi-LondonAs part of the Vasl educational outreach program, Clio Lloyd-Jacob, from the UK, initiated a two–day workshop with 12 young artists from various art colleges in Karachi. 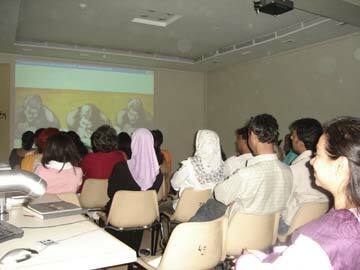 The idea consisted of a drawn animation, to be presented as a video, and possibly to be printed as a flipbook. 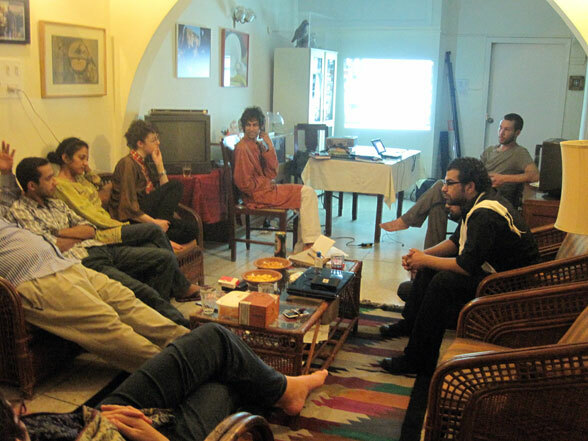 A group of artists in Karachi were asked to bring or choose an object, which had some personal or cultural meaning, which reflected his/her identity. 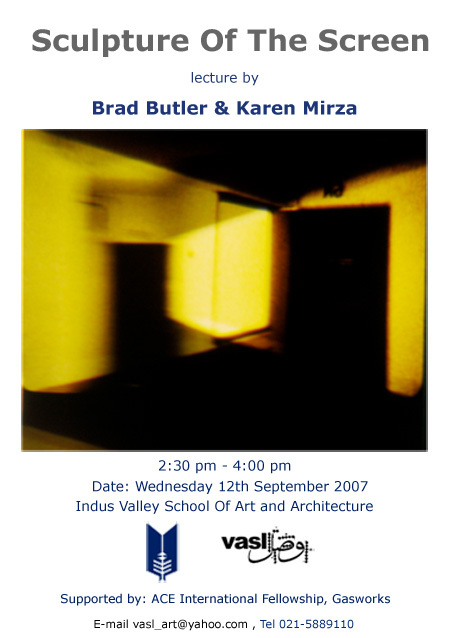 The artists explored ideas of transformations through 60-80 small drawings.The Second artist in the UK transformed the drawing into an object of his/her choice which had meaning to him/her. 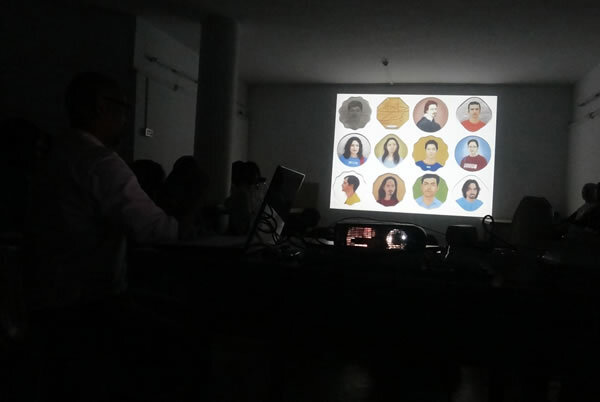 Finally, this moved into an abstract form.Each partnership’s work was made into a short animated digital video by Clio in the UK. 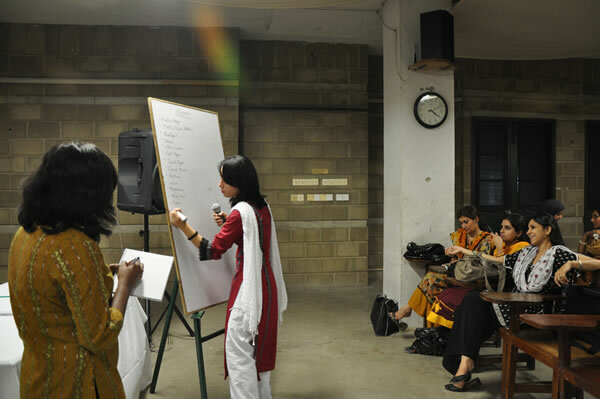 The artists communicated by email to choose a title for their joint work and discuss the works they made with each other. 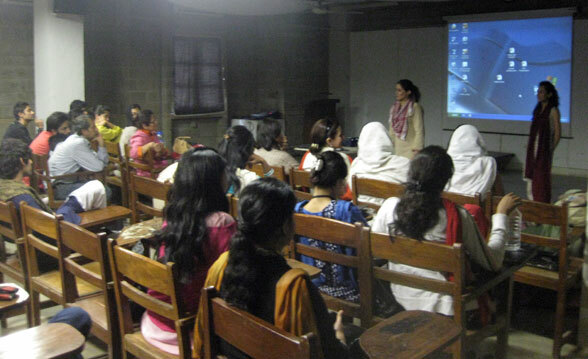 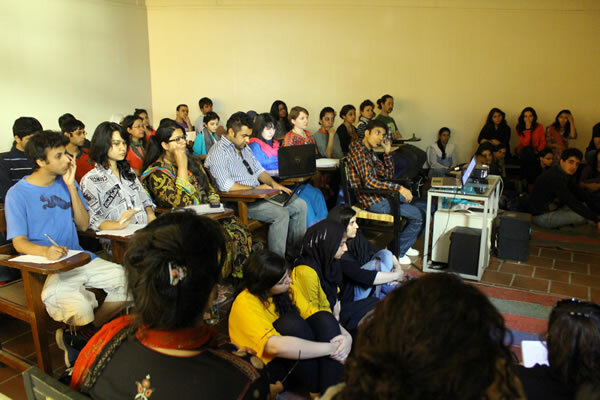 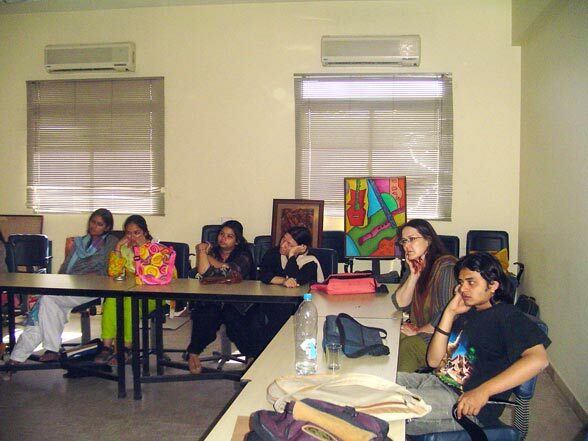 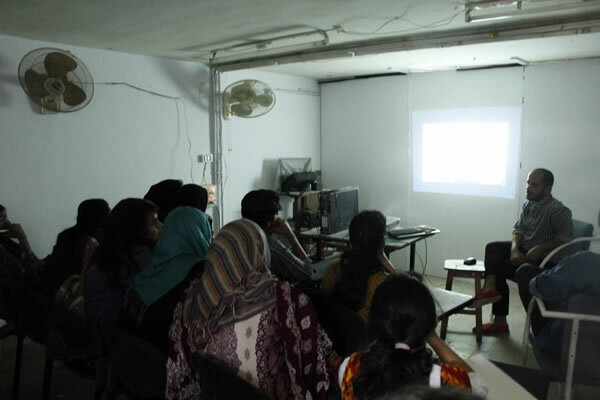 A well attended Art Therapy lecture was given by Clio Lloyd-Jacob, which was followed by a workshop with students from Psychology, Sociology and Visual studies departments of Karachi University. 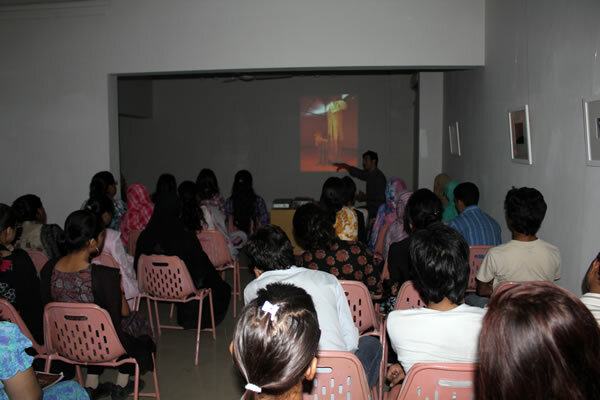 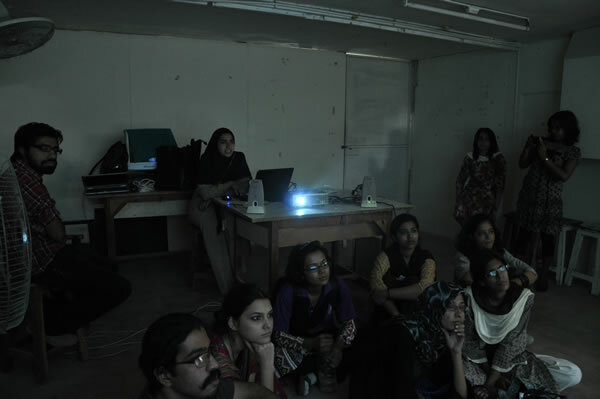 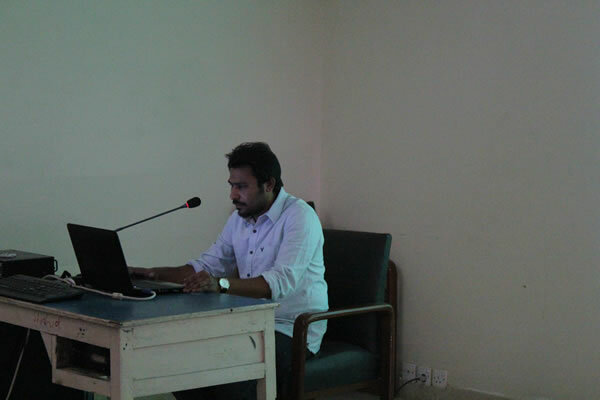 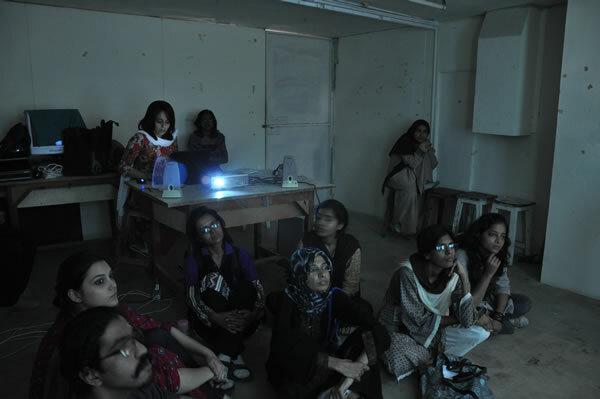 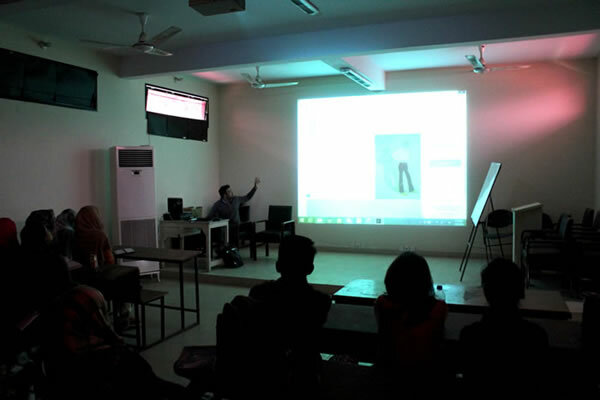 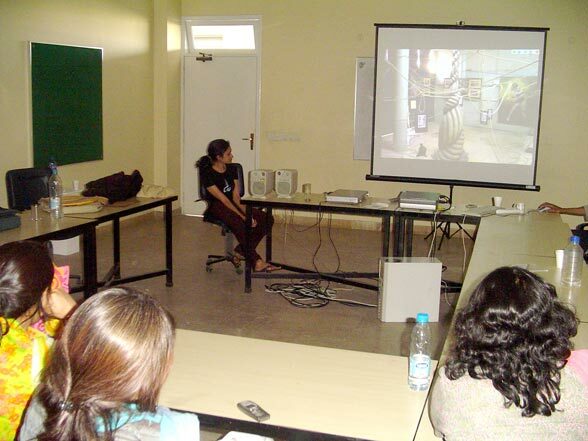 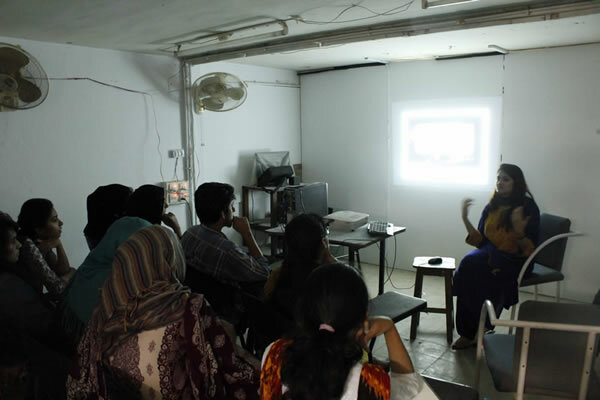 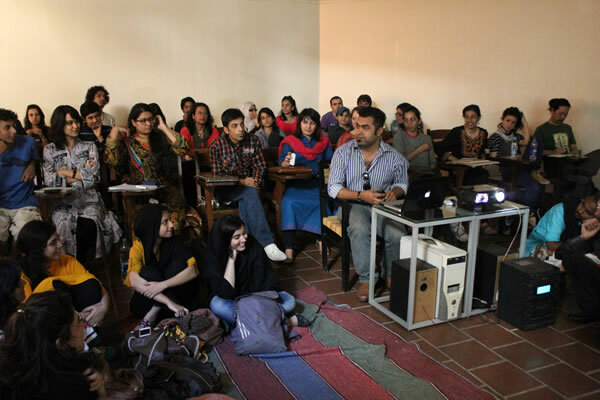 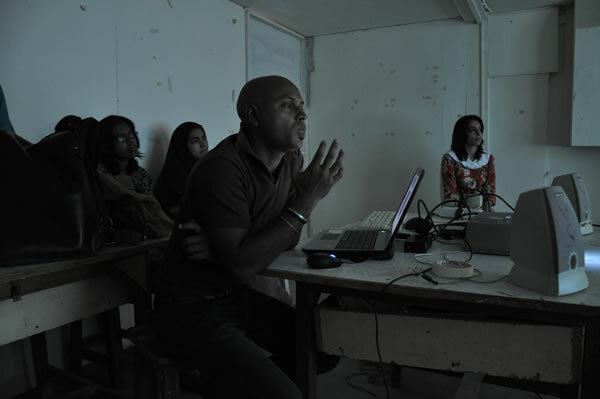 Riyas Komu conducted a two day painting workshop at the Visual Studies department of Karachi University. 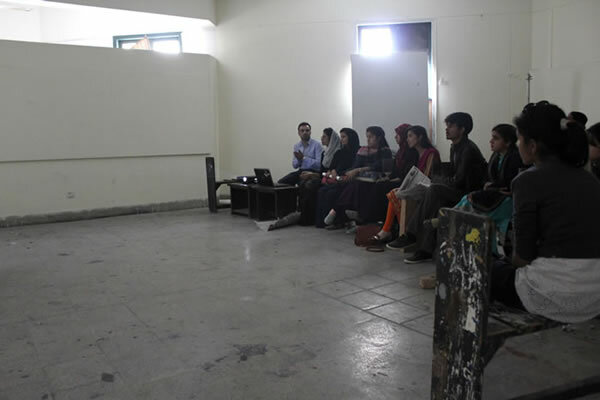 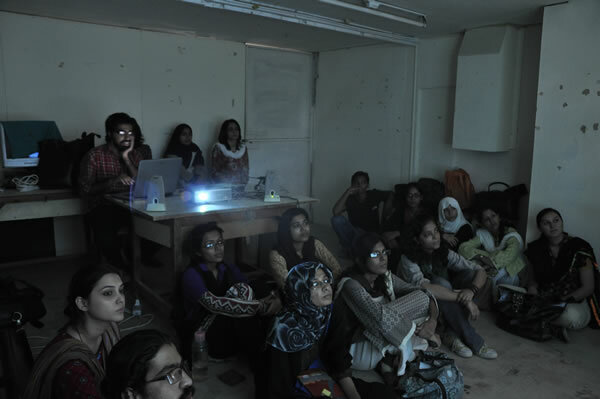 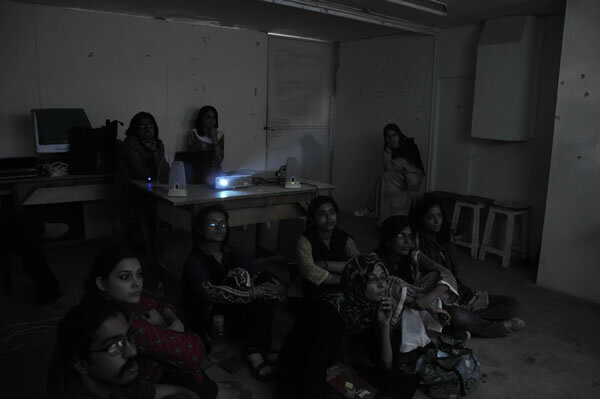 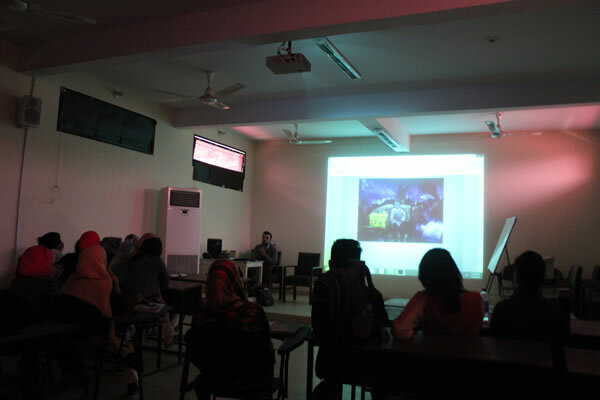 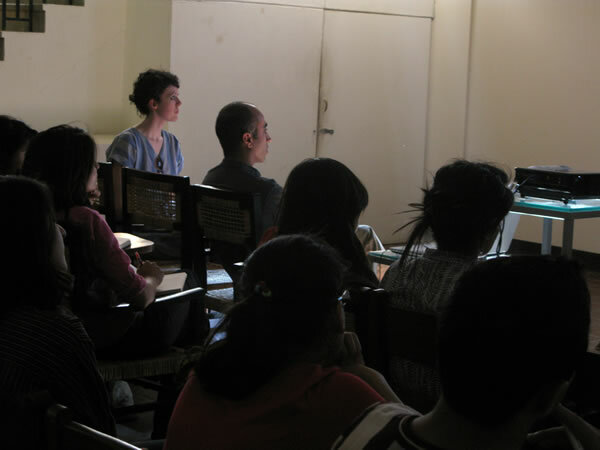 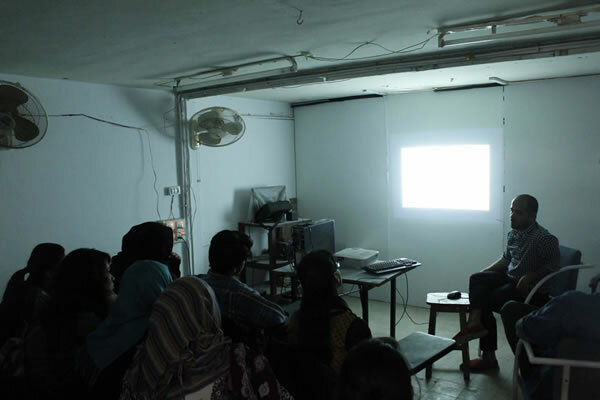 A lecture on contemporary photography was conducted by Lou Yongjin for design students of the Visual Studies department, Karachi University, followed by a discussion.